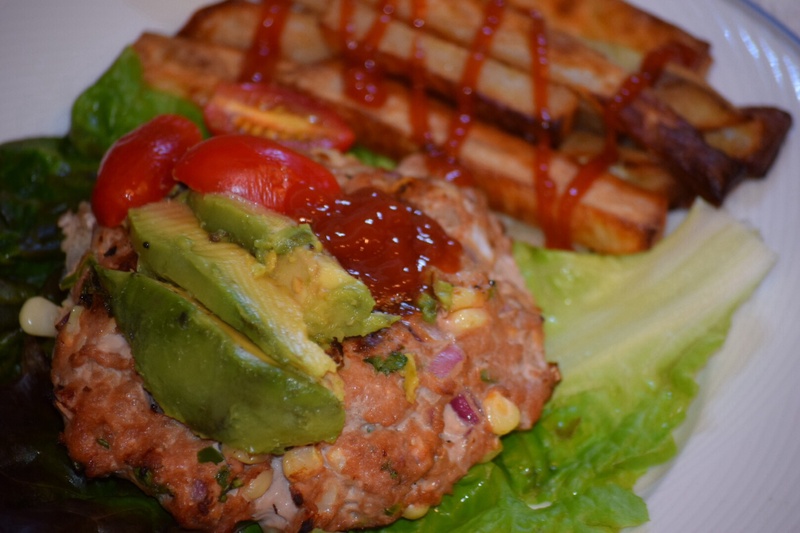 With Memorial Day weekend approaching us, we are ready to fire up the barbeque and start the kickoff to summer off right – what else than a spicy, fresh, dense turkey burger. 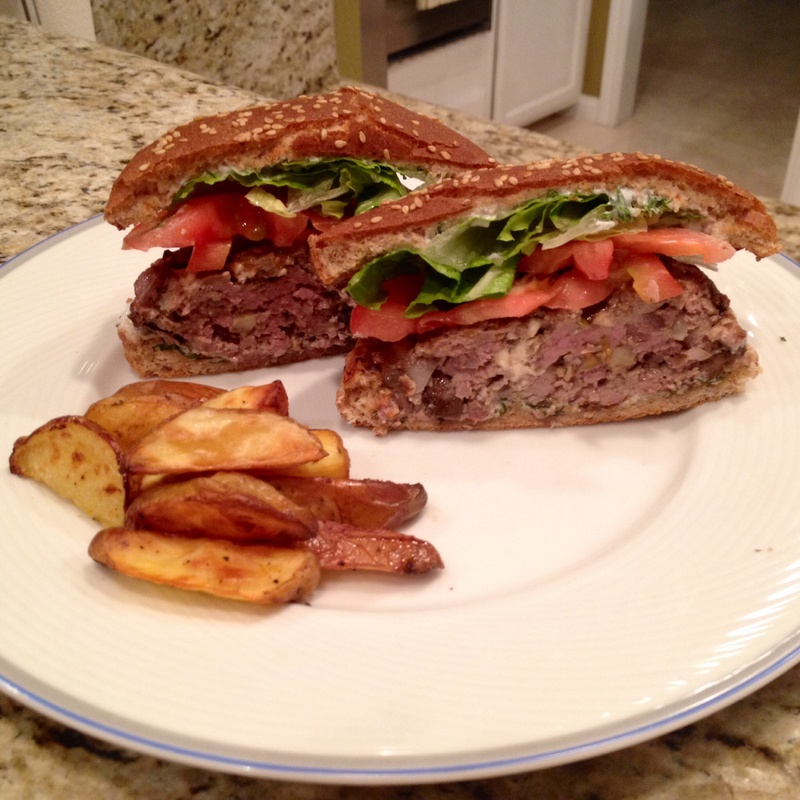 It’s not your ordinary burger – it’s a protein packed lean patty. Bikini-worthy too! * Sriracha ketchup is simply mixing the two ingredients together. 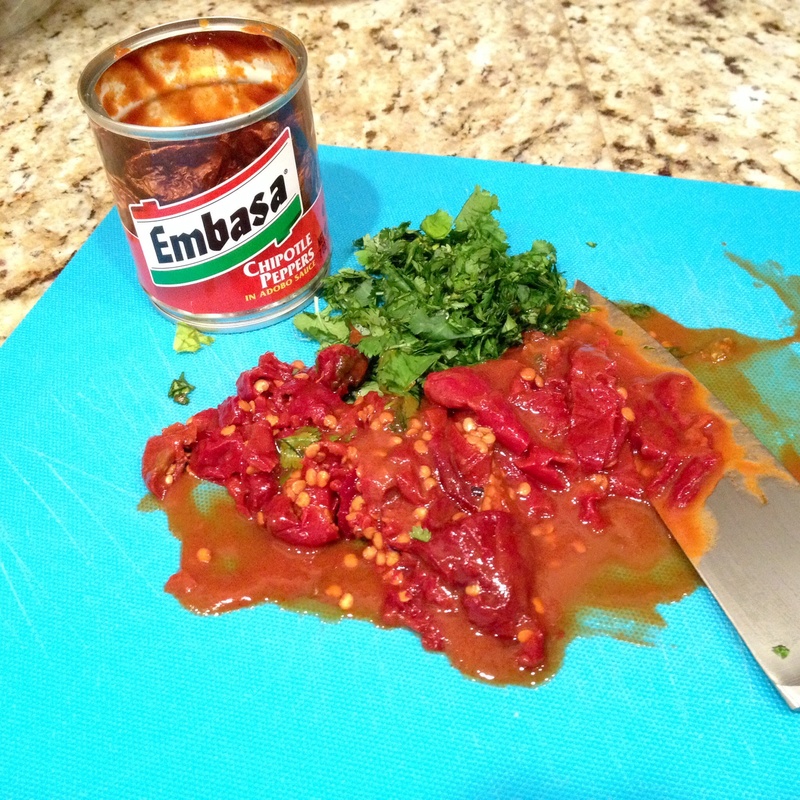 The more sriracha – the spicier it is! 1. Preheat the grill to medium heat. 3. 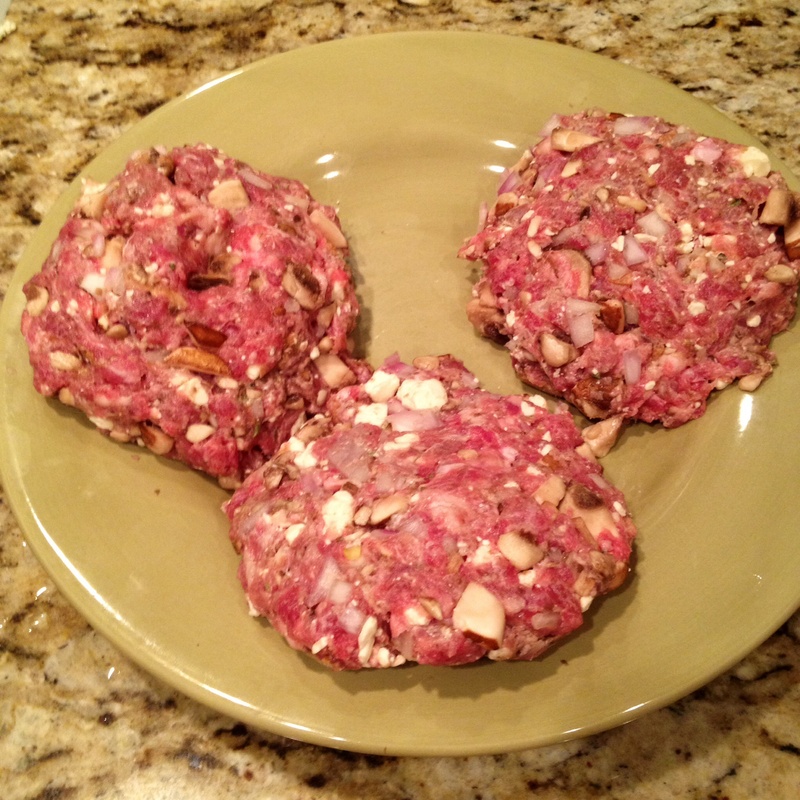 Take the mixture and form into four- five patties. 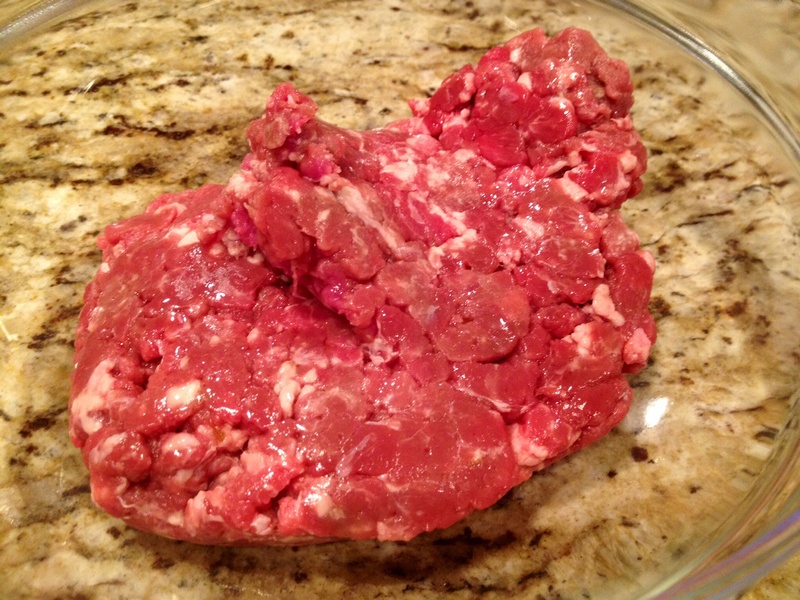 Make sure the meat is evenly distributed so it cooks evenly. 4. 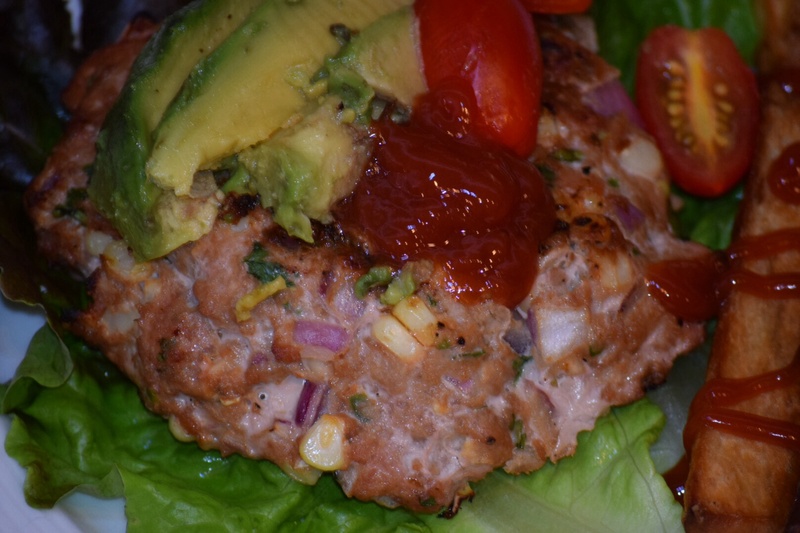 Cook the turkey burgers for about 6-8 minutes per side or until done. If you want cheese, add to the top of the patty with 2 minutes remaining. 5. 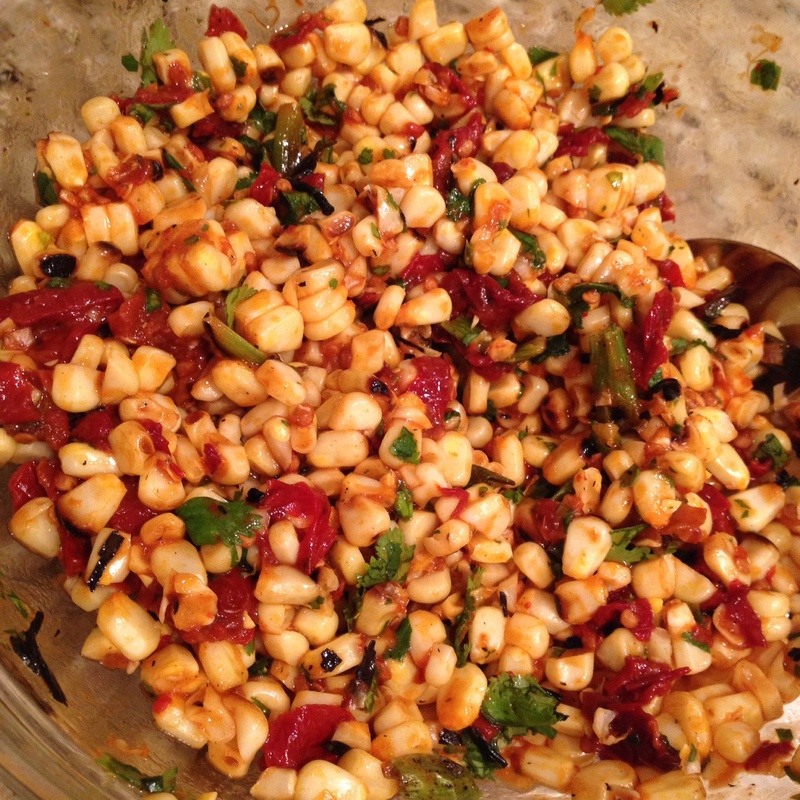 Remove from heat and place on toasted buns or lettuce for a carb-free choice. 6. 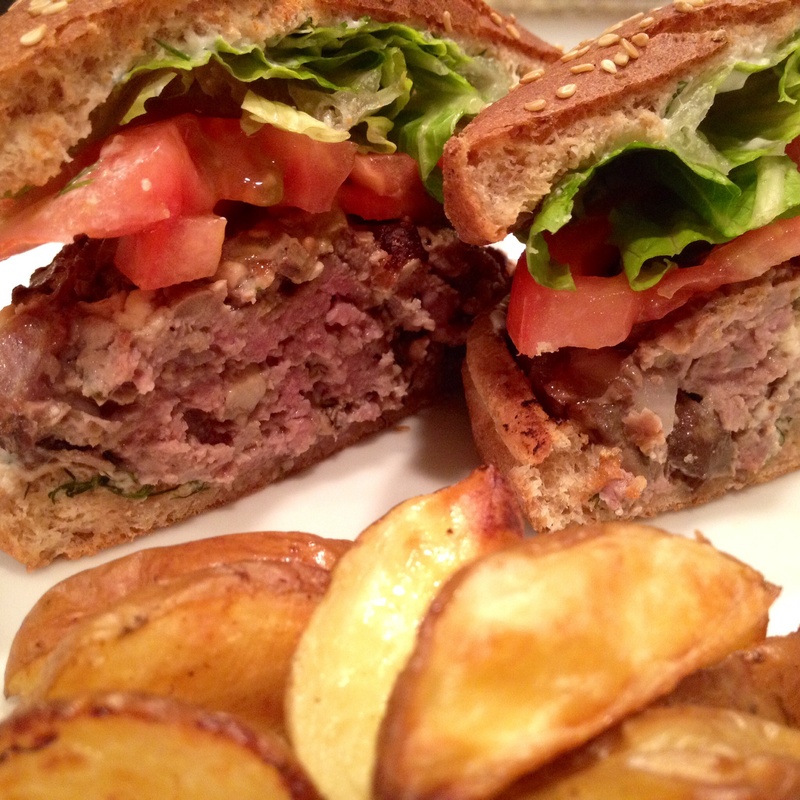 Assemble your burger with all your favorite fixings! Cheers to some great barbeque over Memorial Day Weekend! At the beginning of May one of T.W.O. jumped on their saddle and headed to Austin, Texas for a friend’s wedding. 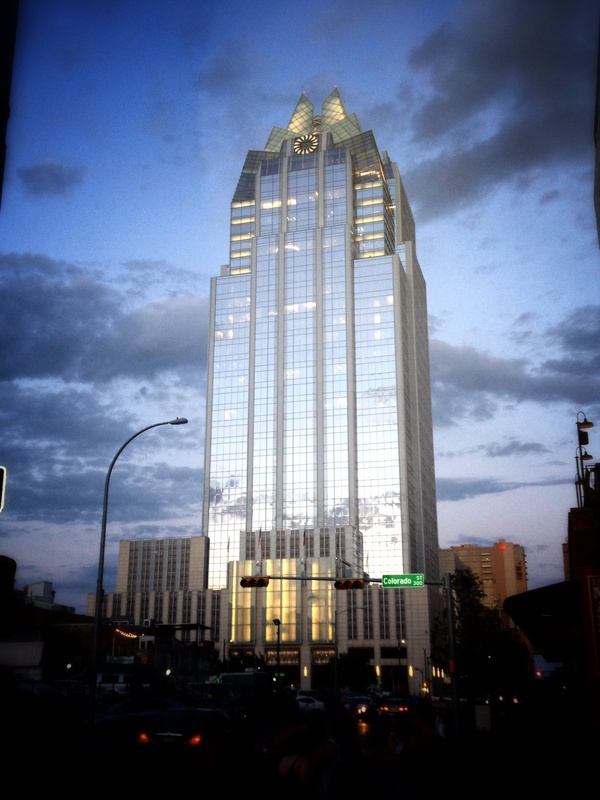 Having visited before, we knew that Austin was a great town, but after this trip we now know it’s an AMAZING city. 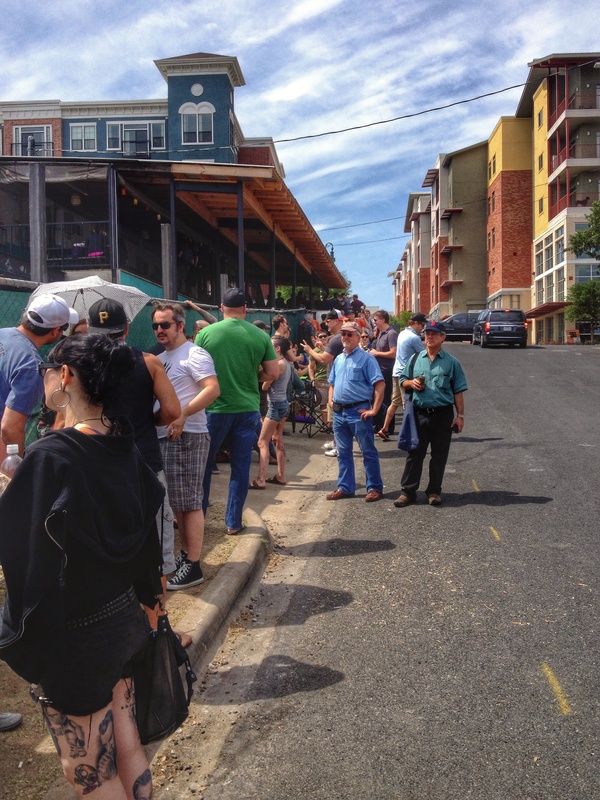 With different neighborhoods, shopping, great food, live music, outdoor activities and rooftops we can’t wait to go back! Here are some of the highlights of one of T.W.O.’s trip. 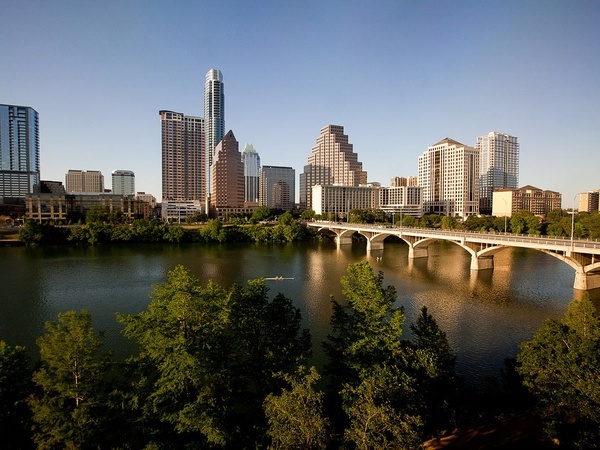 It’s a street filled with historic homes, many of the bungalow style, in downtown Austin, Texas. 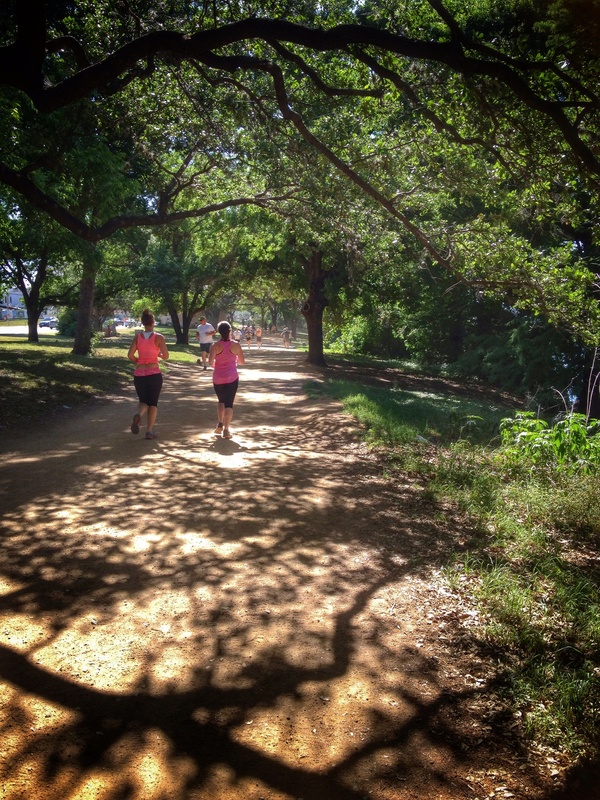 Rainey Street is positioned near Lady Bird Lake and Interstate 35 in the southeast corner of downtown. 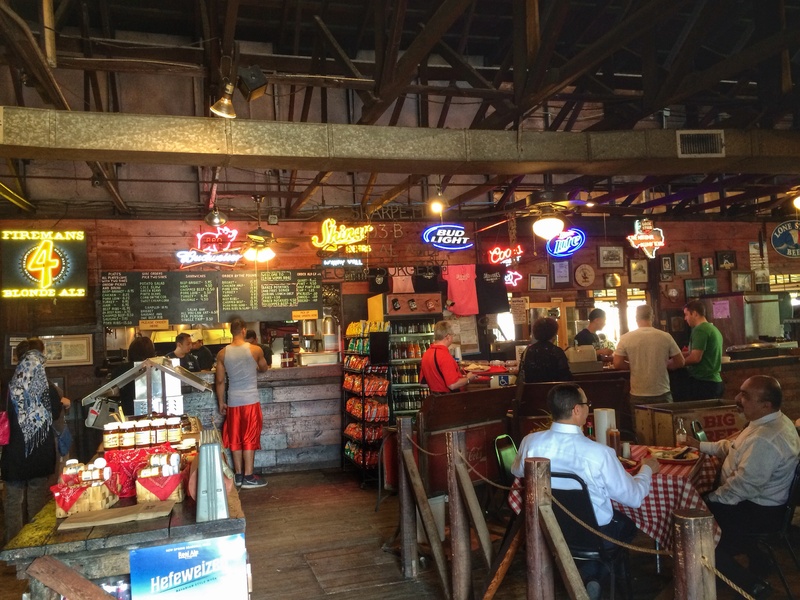 Our first stop – Banger’s Sausage House & Beer Garden. 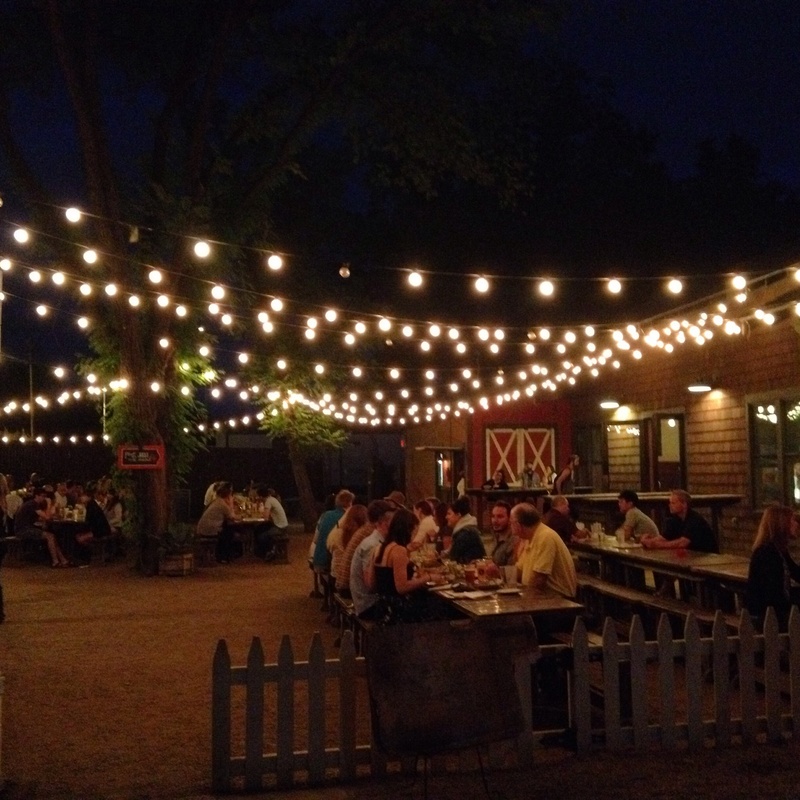 Great outdoor area filled with picnic tables and great ambiance. The effort was there, but unfortunately we didn’t get to try this famous barbeque place. We arrived around 11am and the line was already a two hour wait. Two hours would have been worth it, but comes to find out a girl 10 people in front of us was holding a sign that said “Last person guaranteed food”. 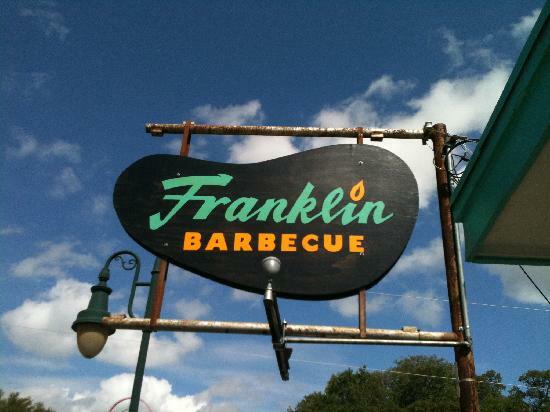 Ummm….okay Franklin – – you are going to have to wait till our next visit to Austin! Off to another barbeque place that didn’t disappoint. This little tin building is a historic site and a family owned and operated business that has been serving Real Texas Barbeque since 1978. 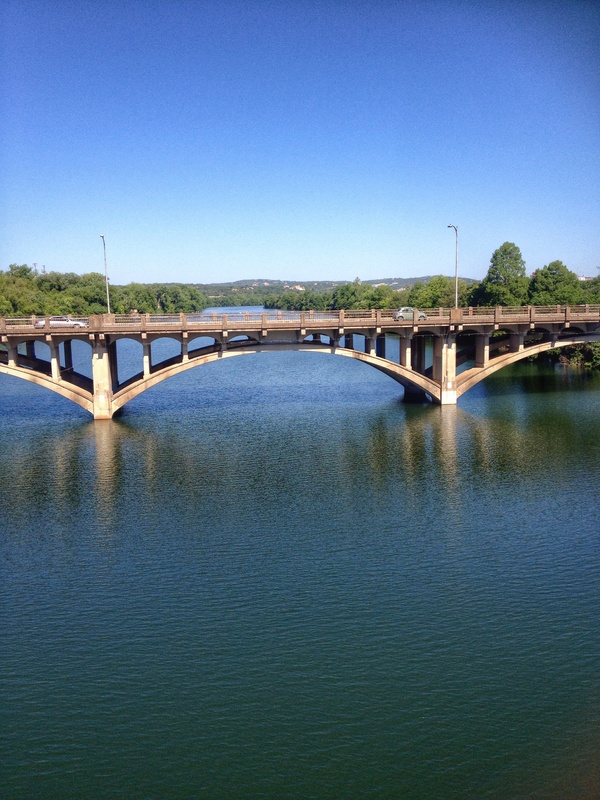 It’s a definite must stop when visiting Austin. 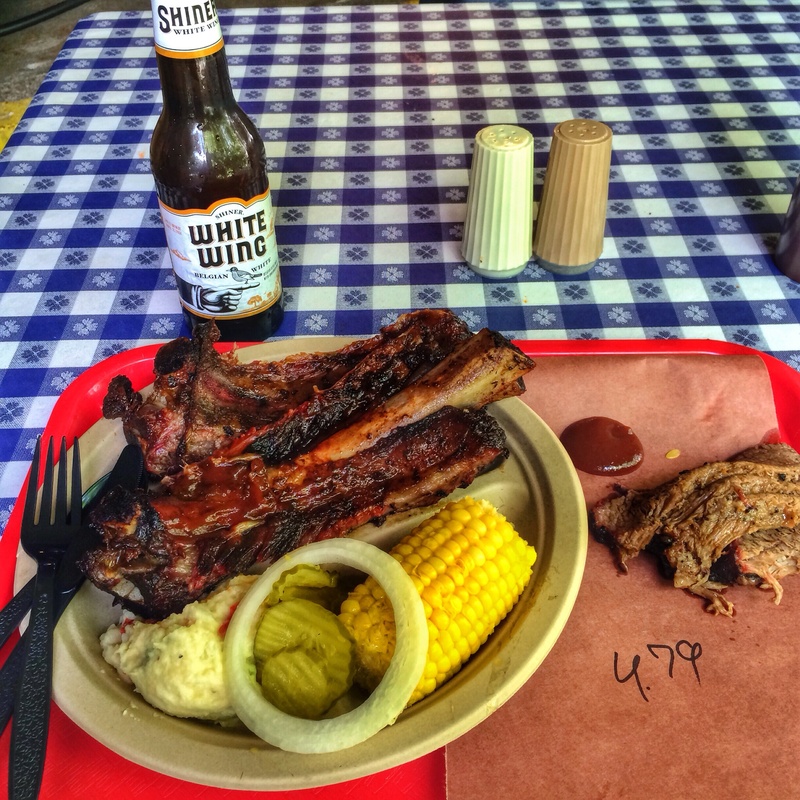 What did we order – beef ribs, brisket, corn on the cob, potato salad and a local beer. The ribs were phenomenal – – and you know that we like ribs! The meat just fell off the bone and had a great smoky flavor that wasn’t over powering. 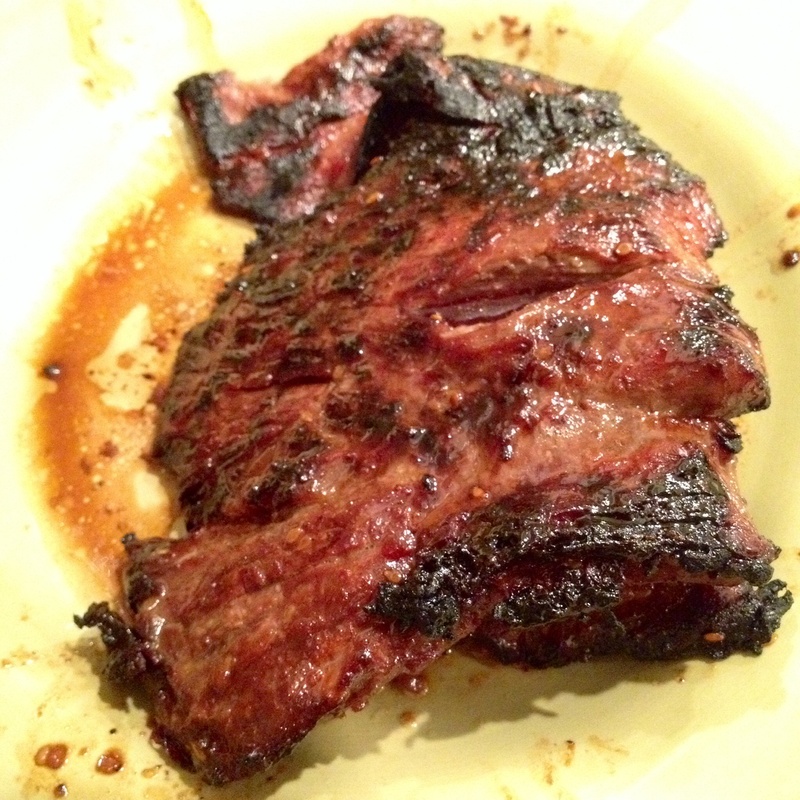 The brisket was juicy, tender, meaty and went well with their homemade barbeque sauce. I wouldn’t mind going back and having a brisket sandwich! Do they deliver in California?? 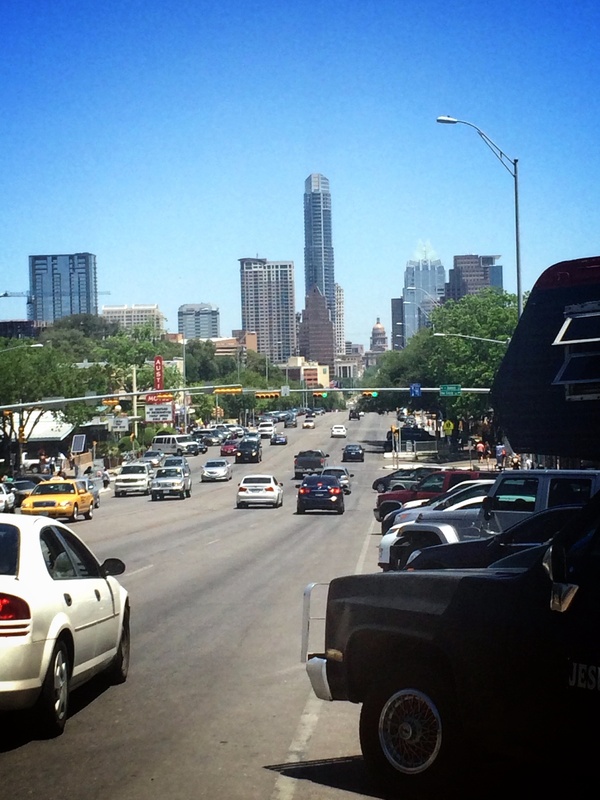 A neighborhood located on South Congress which is known for the shopping and its many eclectic small retailers, music, art venues, food trucks and restaurants. On Sunday afternoon, while strolling down South Congress we stumbled upon this gem of a restaurant with a hour line. Must be good, right? Luckily we got the attention of the bartender who seated us before we had to wait the full hour – – must have been our California IDs! Anyways, the menu was overwhelming and I say that because everything looked SOOO good. It was so hard to choose what I wanted. 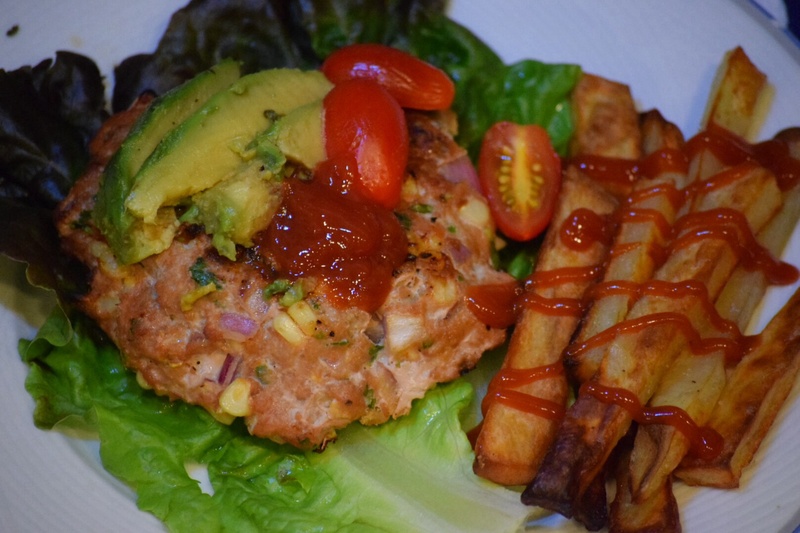 From their burgers, to salads to vegetarian dishes and fries – – there is an option for everyone. Ended up ordering The Goodnight (an angus beef, Tillamook cheddar, hickory bbq sauce, caramelized onions, sliced jalapenos and sassy sauce. We got fries with queso which are highly recommended. 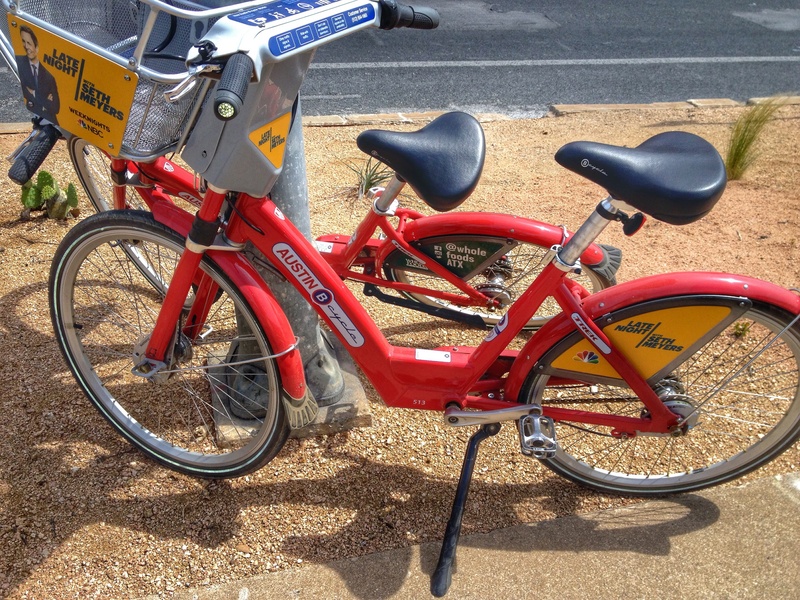 Word on the street CA is going to be getting one of these in Marina del Ray area – – let’s hope!! 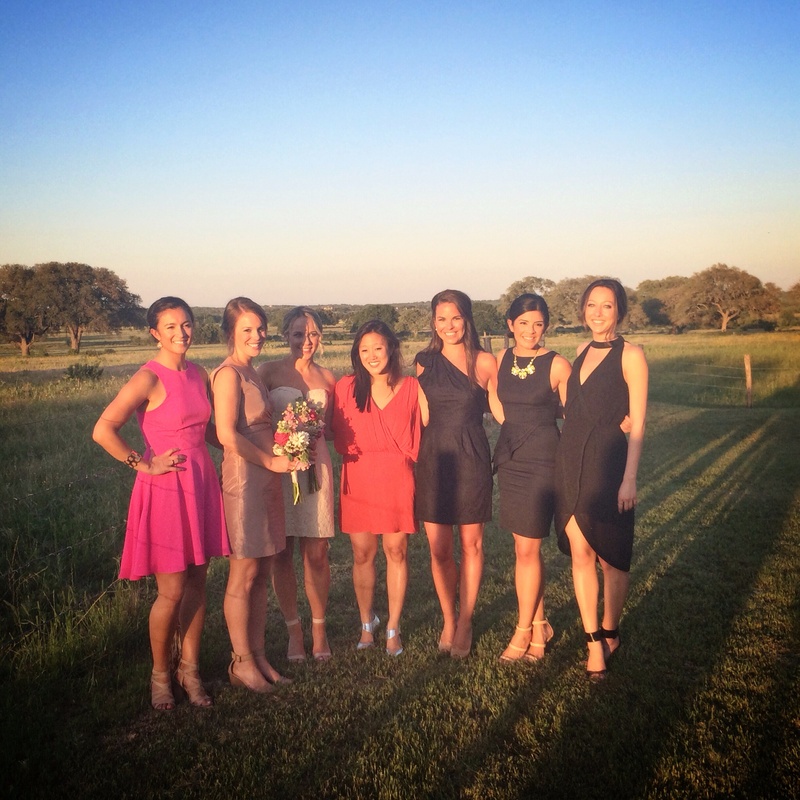 The ultimate reason why one of T.W.O were in Austin was for a wedding – – and besides all the sites seen and the food eaten, this was my favorite part. It was amazing watching two people that are so in love get married in front of their friends in family at Stonehouse Villa outside of the city. 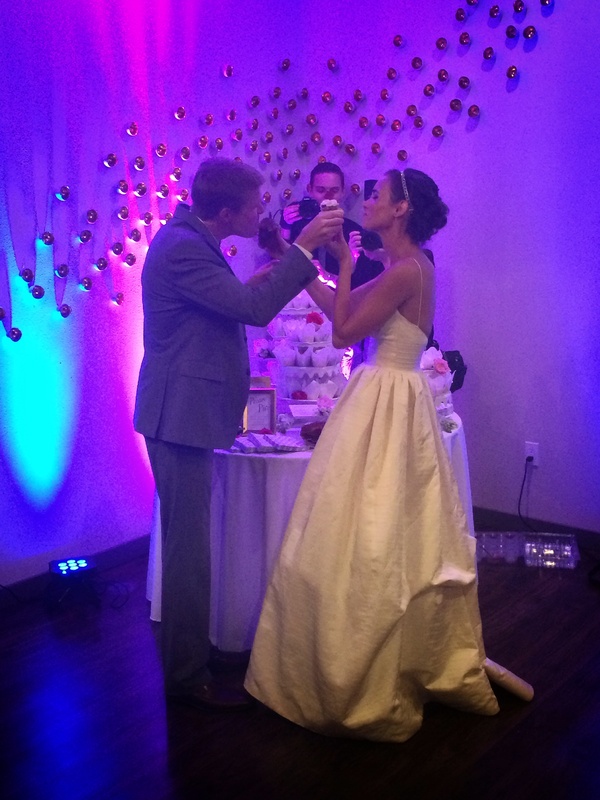 From the dancing to the food and mostly – the people that were there made for a special and memorable night. 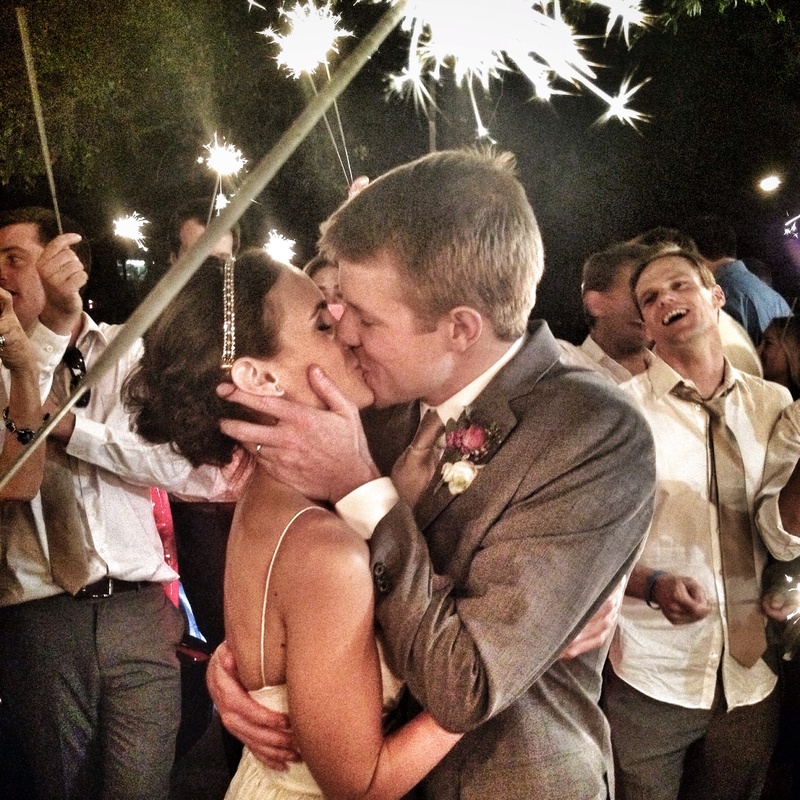 Cheers to Mr. and Mrs. Rorden! Taco Tuesday! Today, T.W.O. 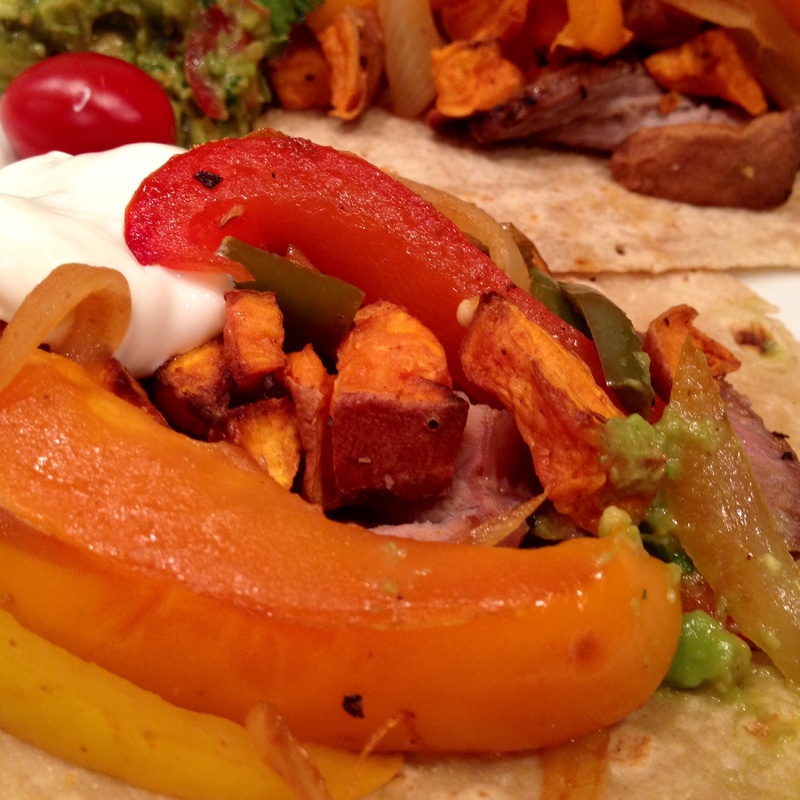 will be featuring a carne taco con batatas. Batatas? 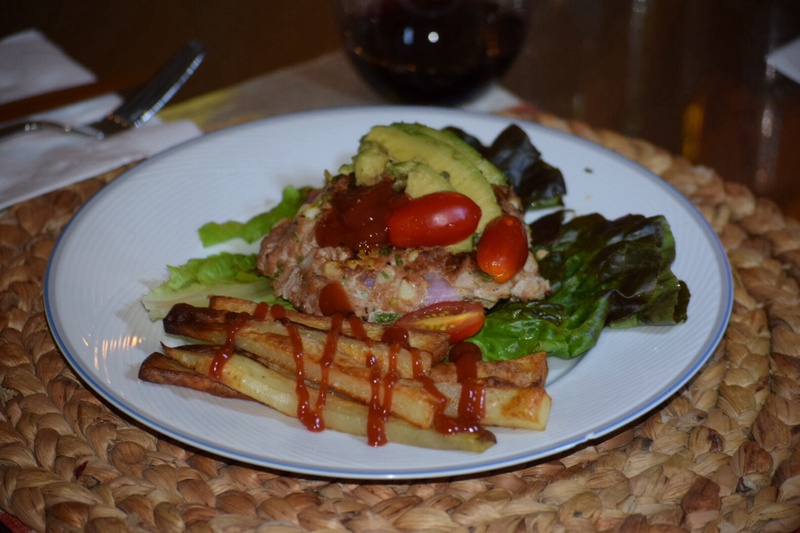 Yes – Batatas….Sweet Potatoes! 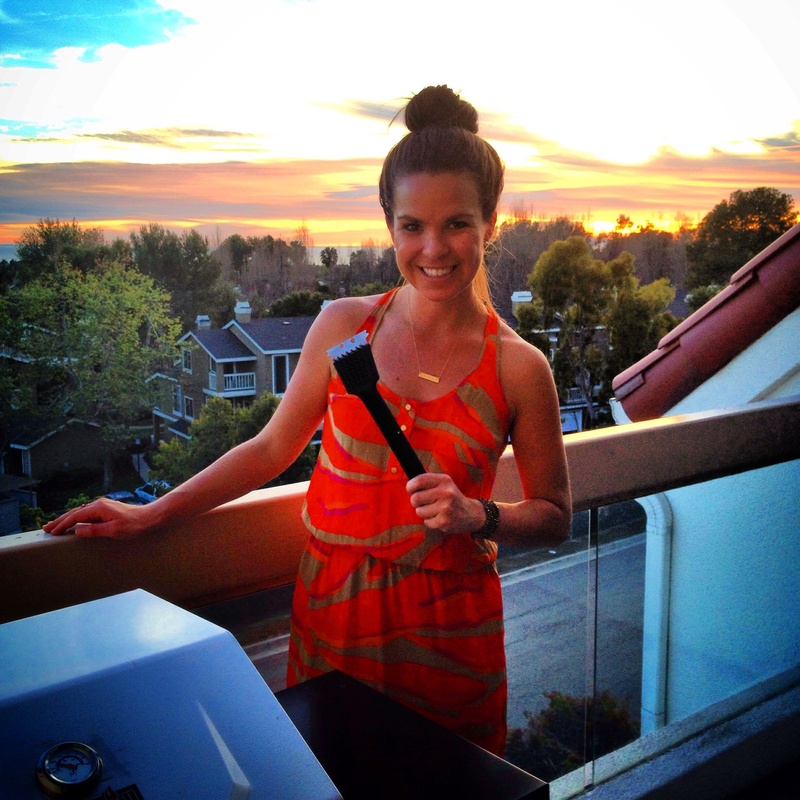 Grab your apron and lets start grilling!!! 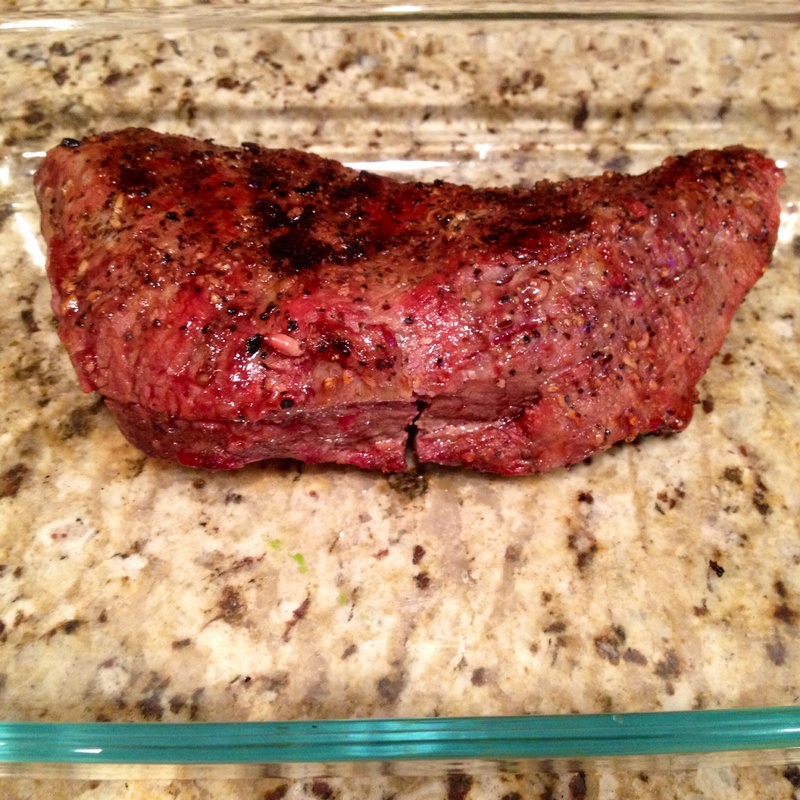 * Season tri-tip roast with Montreal Steak seasoning prior to putting on the grill. Preheat oven to 425°. 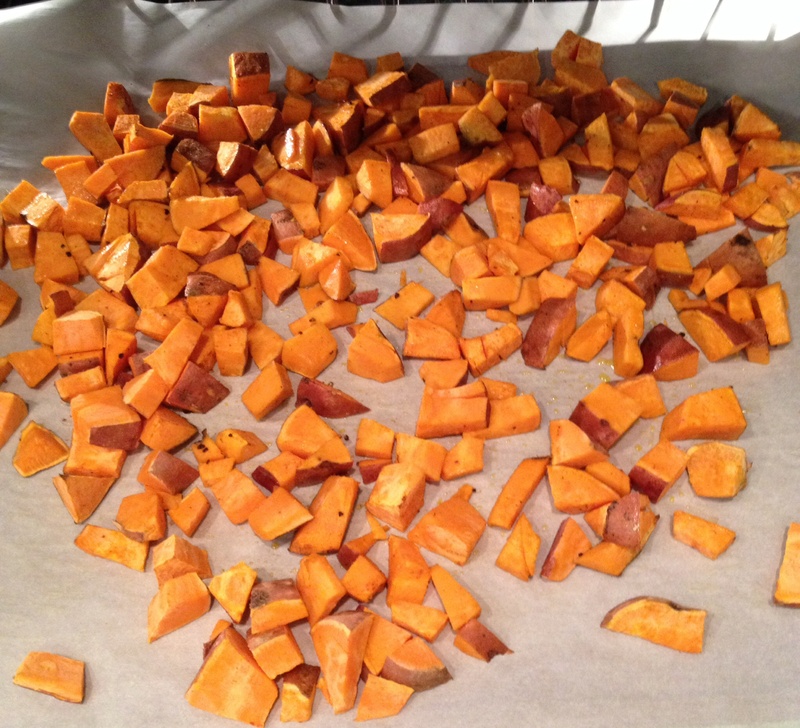 Place the cubed sweet potato on a cookie sheet. Season with 1 Tablespoon, olive oil, cayenne pepper, garlic powder, salt and pepper. Place in oven for about 25-30 minutes. 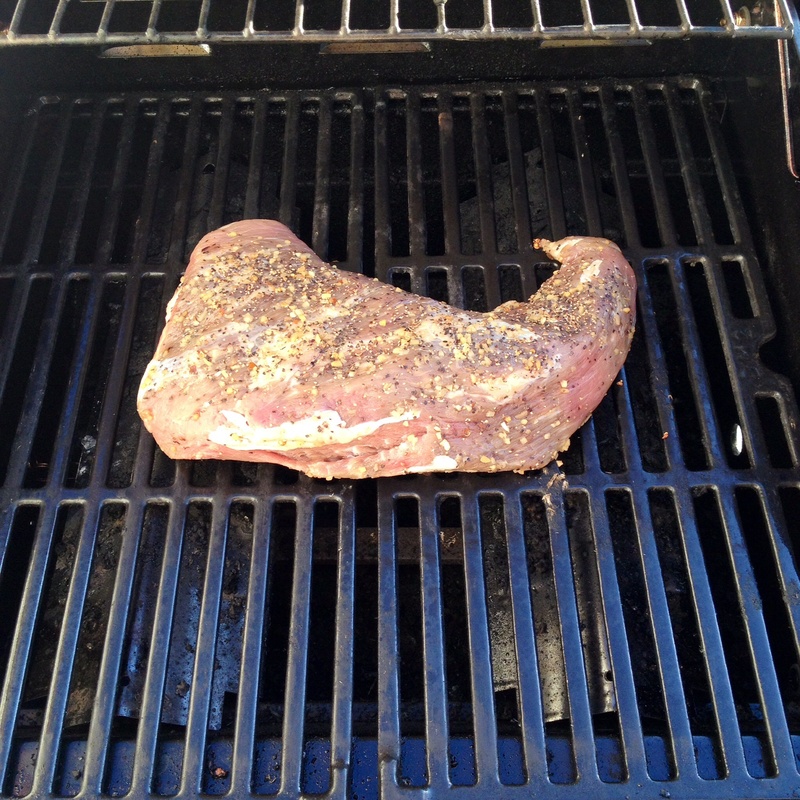 While the sweet potatoes are cooking, place the tri-tip on a heated barbeque. Cook for 30 minutes or until done. 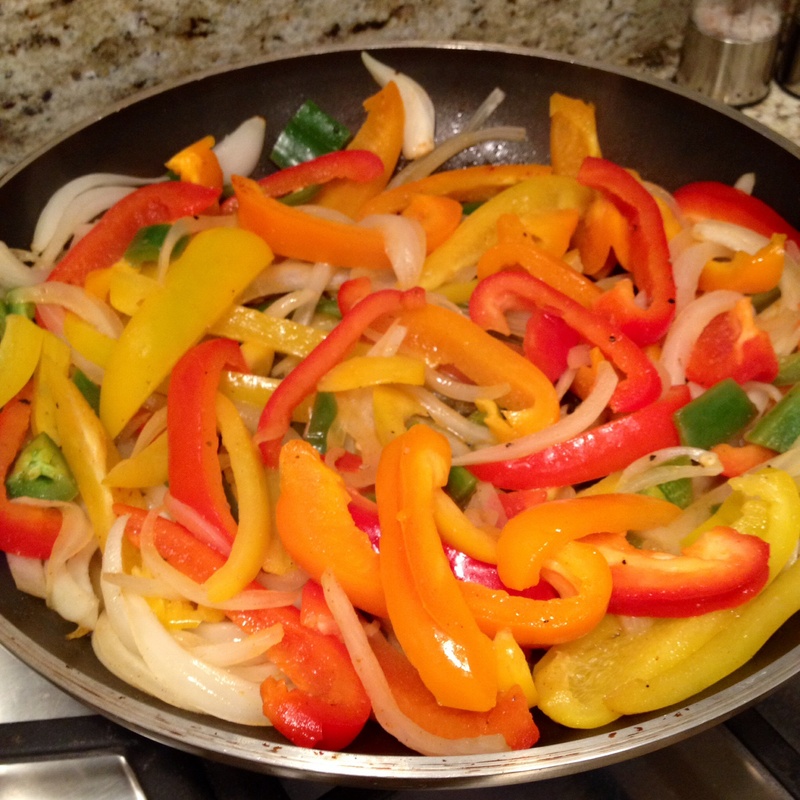 In a sauté pan, add 2 Tablespoons olive oil and lemon juice. Add the vegetables. Sautee for 10-15 minutes or until done to your liking. Add salt and pepper to taste. 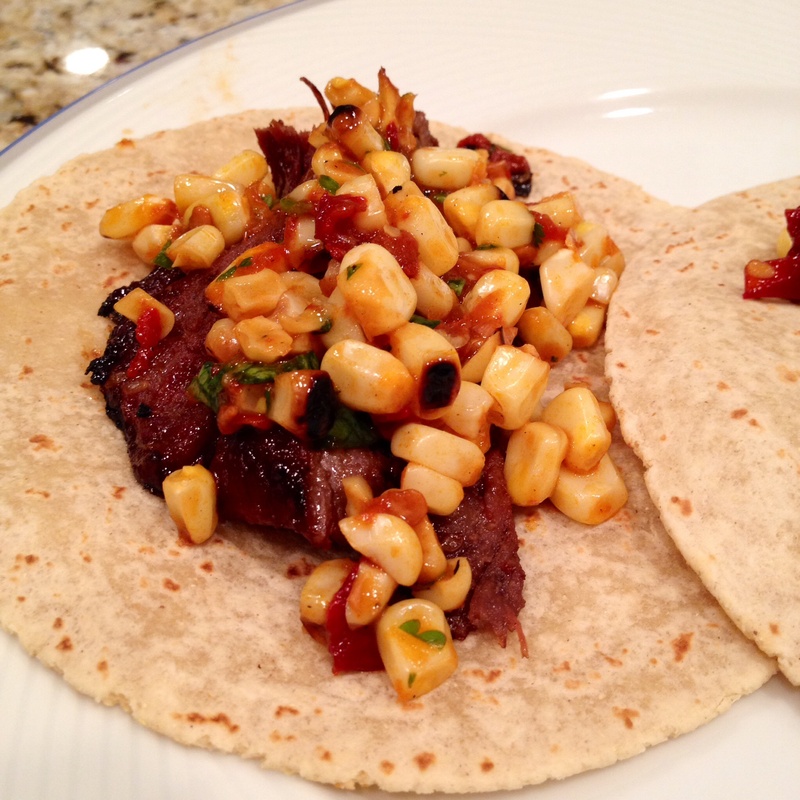 When all the ingredients are done cooking, place the tortillas on the barbeque to heat up. Final steps – assembly! 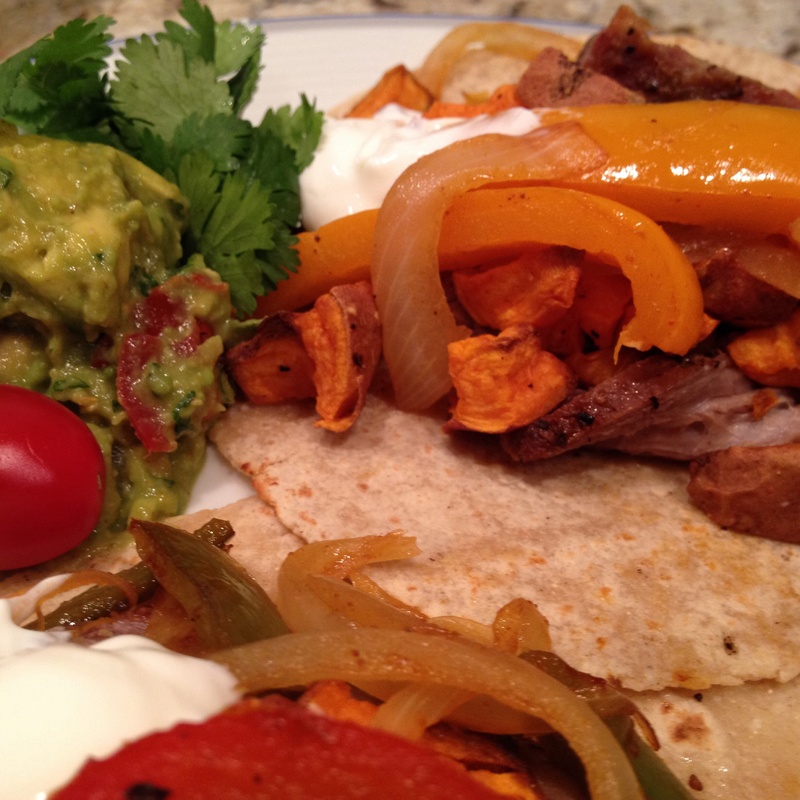 Create your masterpiece by combining all your ingredients into a freshly grilled tortilla! Cheers to another T.W.O. 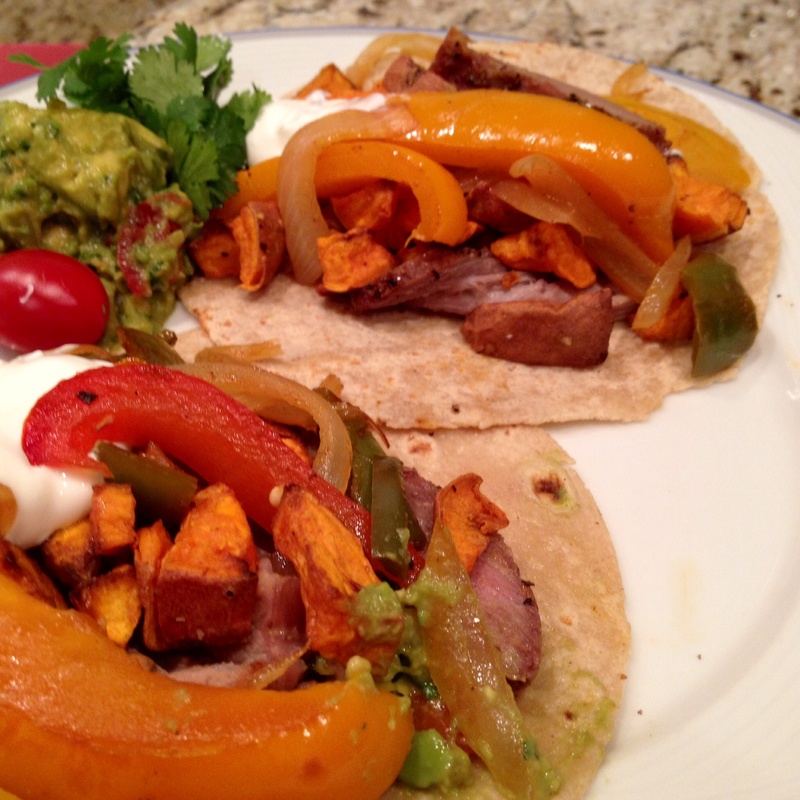 Taco Night! 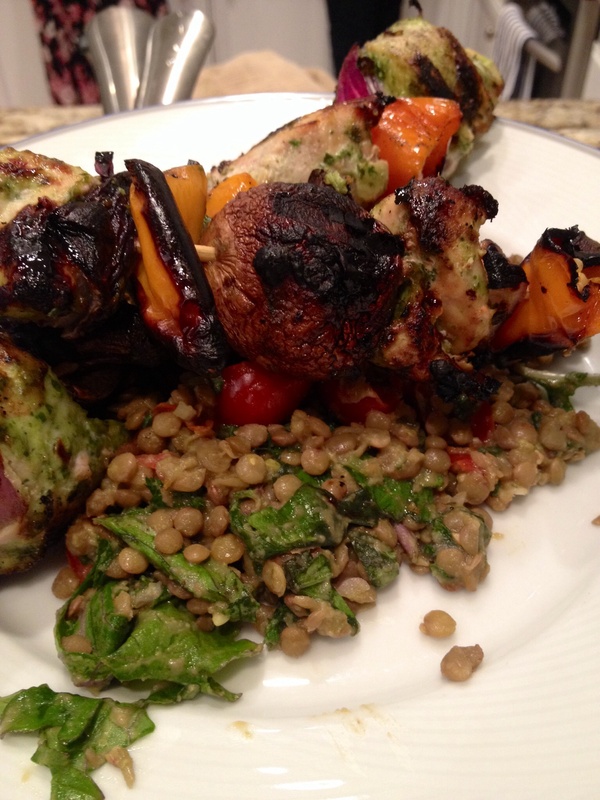 Skewers are a great way to spicy up your meals. 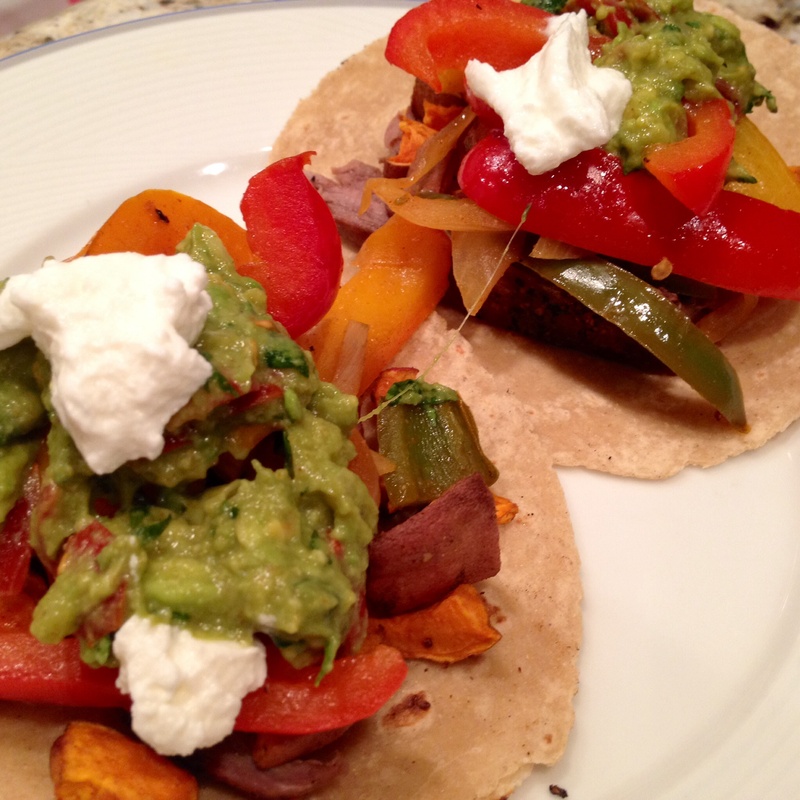 It’s one way to get your protein, vegetables and your savory! 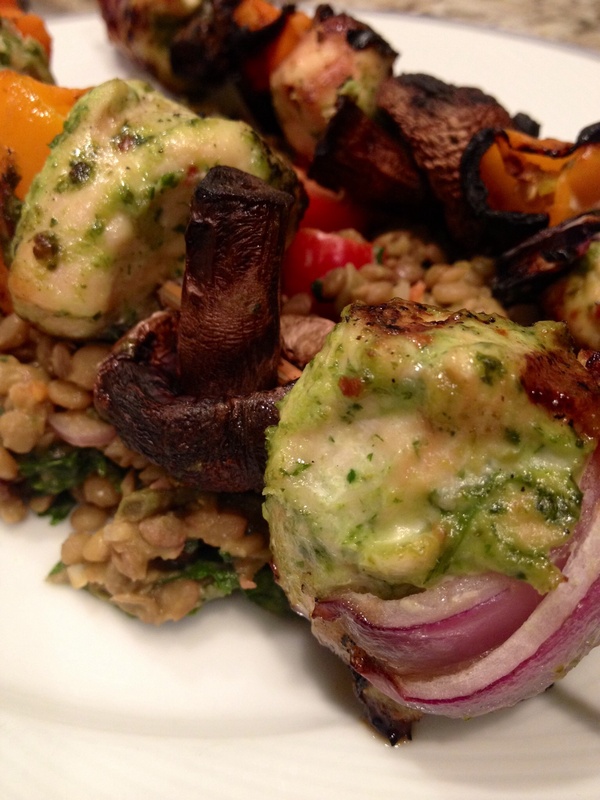 Check out how we made these Parsley Pesto Chicken Skewers. 1. 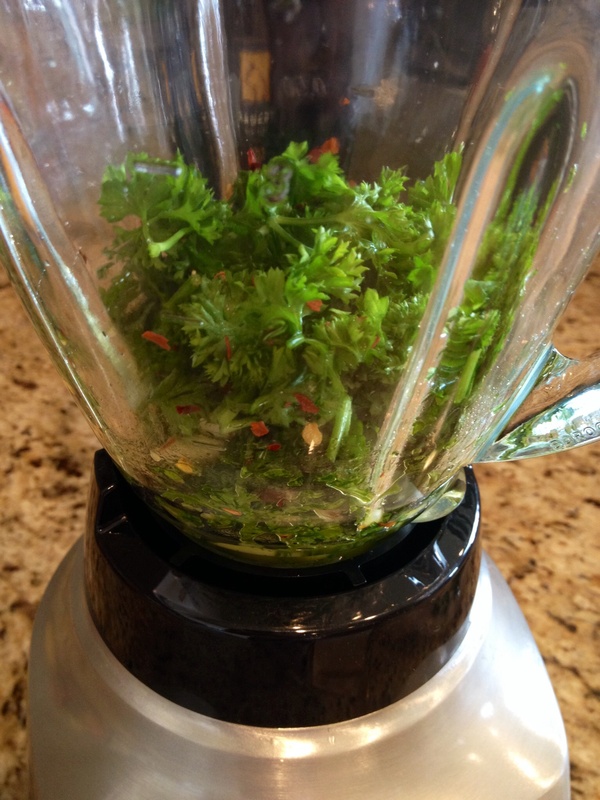 In a blender, pulse the parsley, garlic, crushed red pepper, lemon juice and olive oil to a thick puree. Mix in salt and pepper to taste. 2. In a bowl, mix the chicken and pesto. 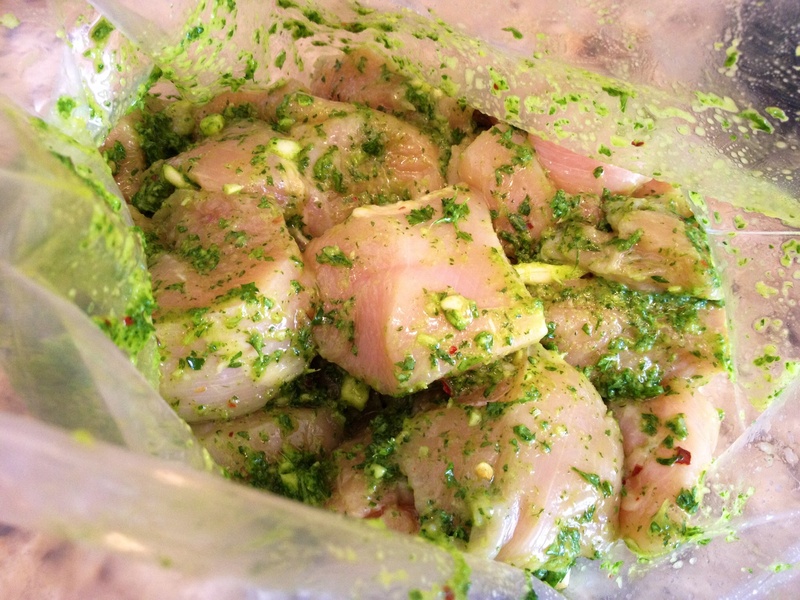 Put in refrigerator to marinate for 2-4 hours. 3. With about 30 minutes, left to marinate, soak the wood skewers in water. This eliminates them from splintering. 4. Remove the chicken from the refrigerator to assemble the skewers. 5. 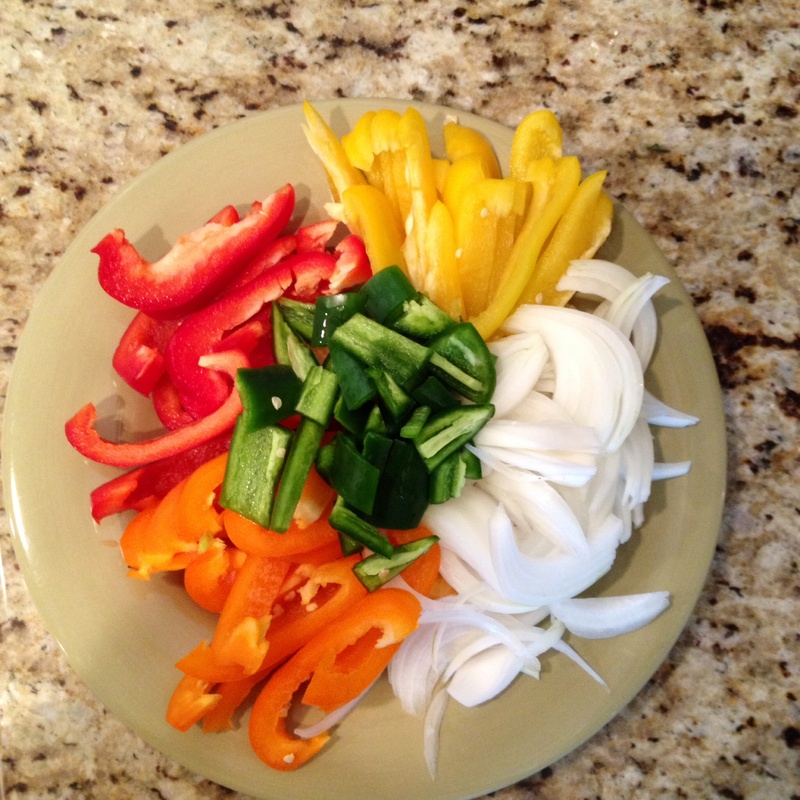 Wash and cut the peppers. Keep the mushrooms whole. The red onions should be cut in thick slices. 6. To assemble, add each ingredient to the skewer. 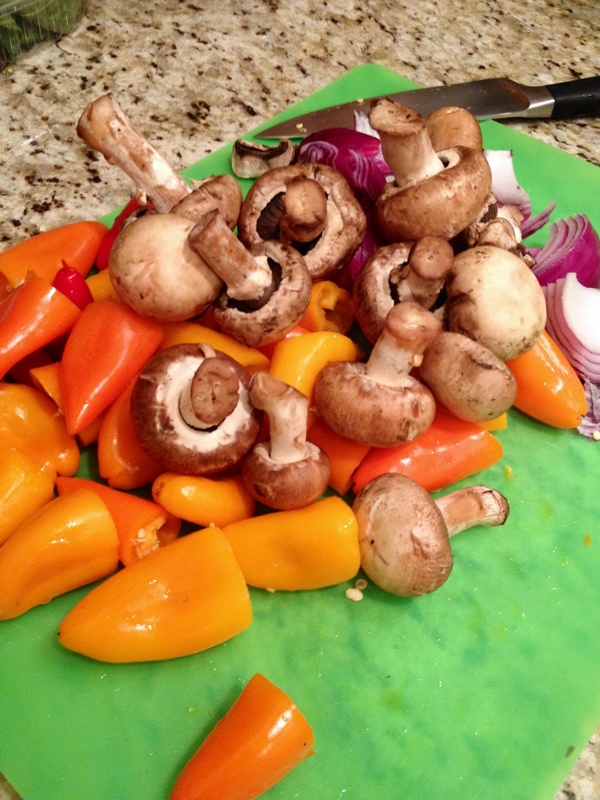 Put more or less vegetables depending on your liking. 7. 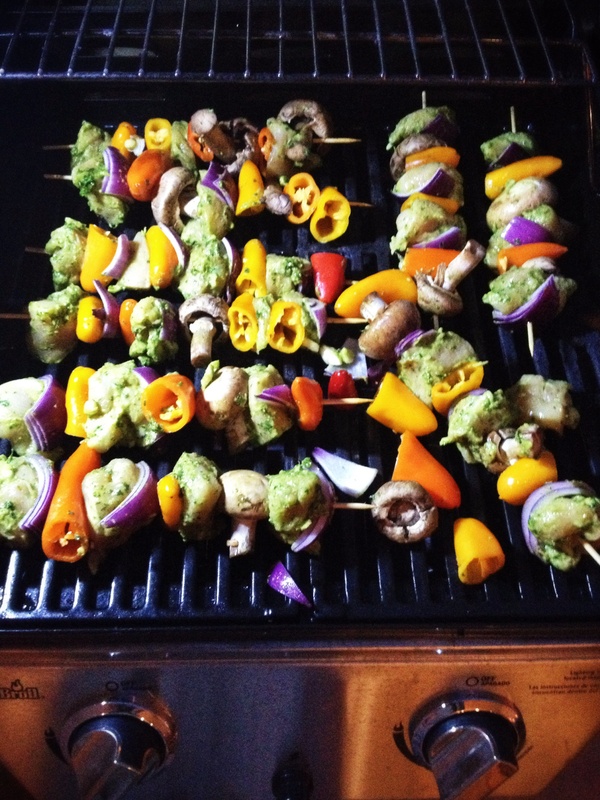 Set the skewers aside once assembled. 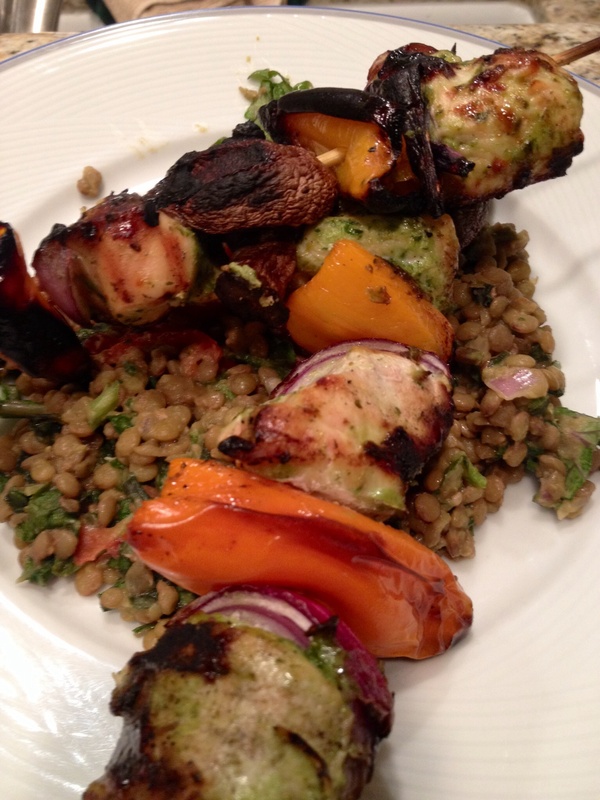 Pour any remaining marinate over the top of the skewers. 8. 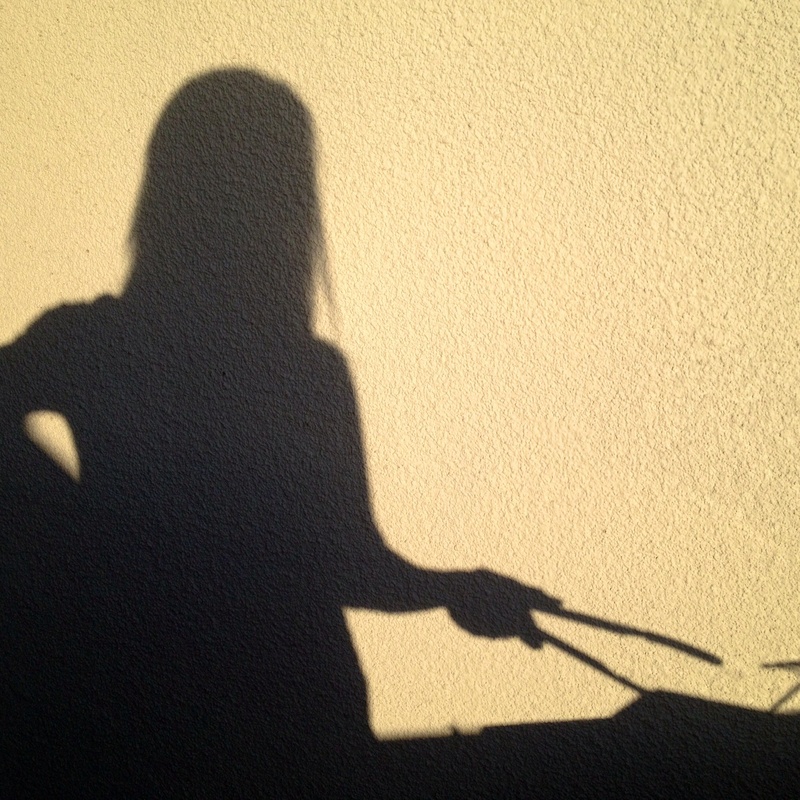 Barbeque on? Should be! Once it’s ready, put the skewers on over medium heat and cook for about 15-20 minutes. 9. Make sure the chicken is cooked. Once done, plate over your favorite side dish and serve! T.W.O. served theirs over lentils. Craving ribs, but don’t want to have to deal with the mess of eating them? Well you still can! 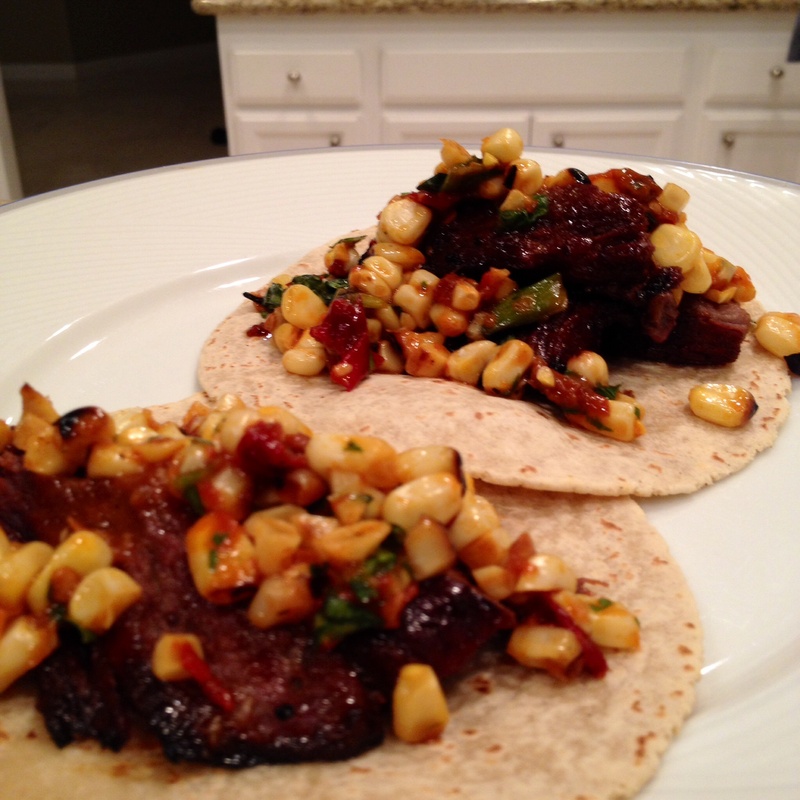 Solution – boneless short ribs! 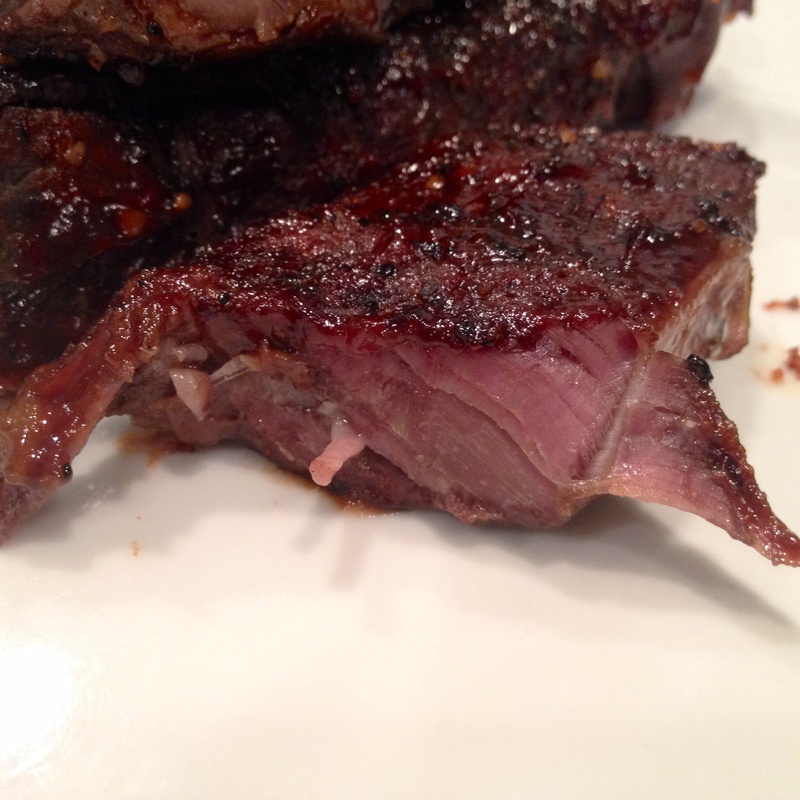 Short ribs are great because you still have the same great taste as ribs, but you can use a fork and knife! Sounds a little more ideal when you are wearing those white pants! 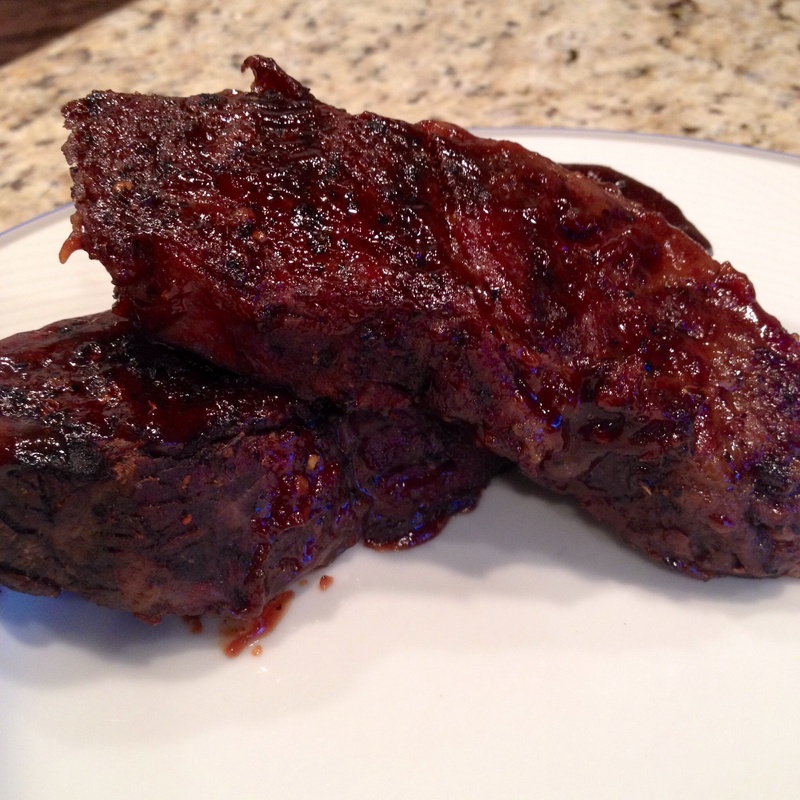 If you haven’t tried cooking boneless short ribs, T.W.O. would highly suggest them for your next dinner, party or even holiday meal! First, season the ribs with Montreal Steak seasoning and cayenne pepper. In a large skillet, pour some olive oil and heat to medium to high heat. Add the short ribs and sear each side for about 4 minutes. 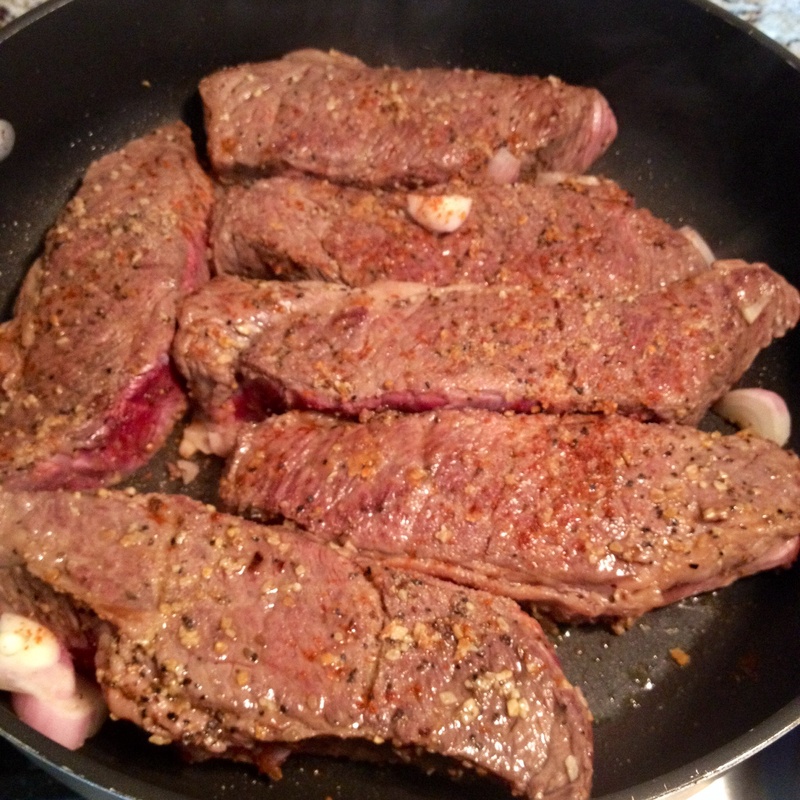 Once each side is seared, add water to the skillet. The water level shouldn’t cover the meat, but rather be at 1/3 the way up. Turn the heat to low and allow the meat to simmer for a minimum of 2 hours. (T.W.O. 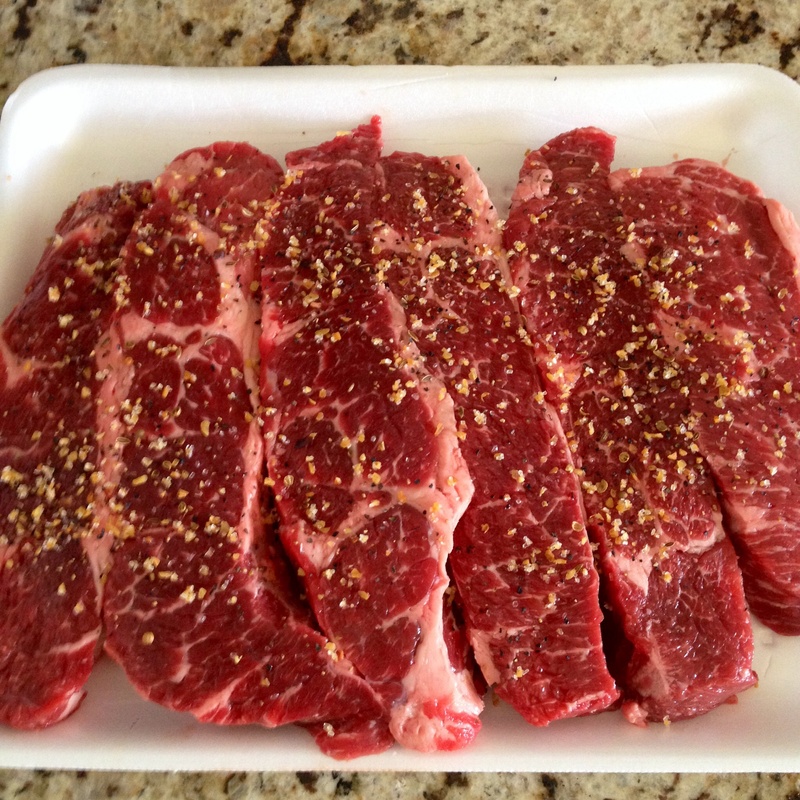 suggests cooking them for 2 ½- 3 hours) Make sure to flip the meat at hour 1. After the meat has simmered, fire up that BBQ! 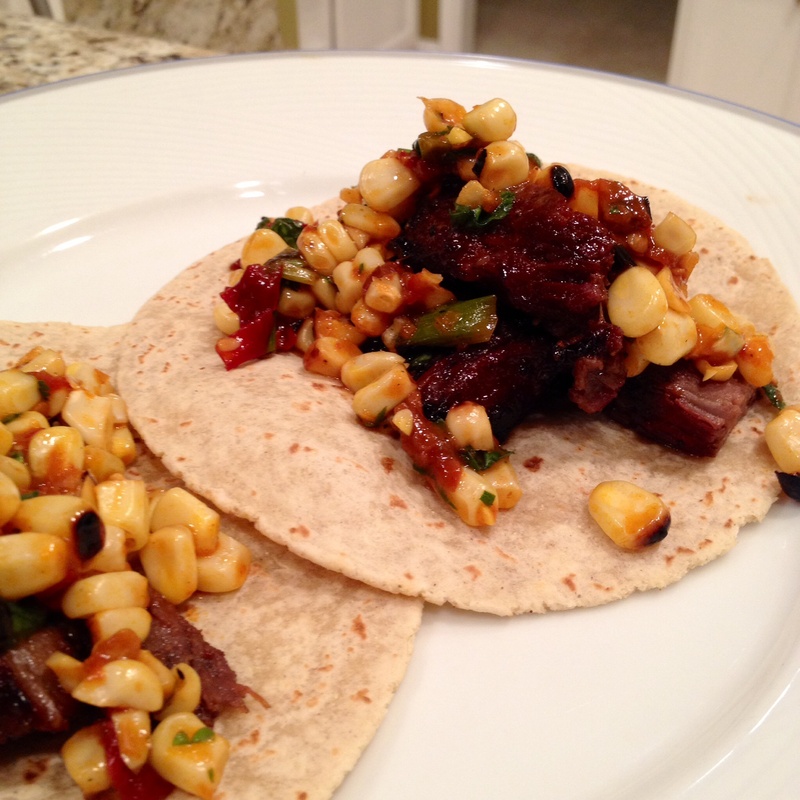 Place the short ribs on the grill and cook for about 4 minutes. 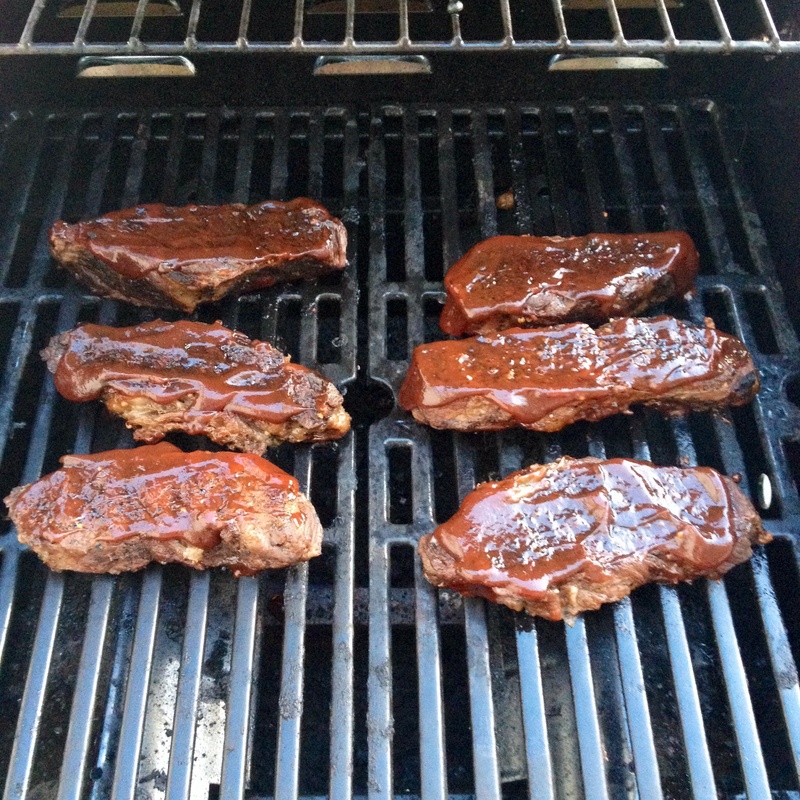 Add your BBQ sauce to each side of the short ribs. Allow to cook for another 4 minutes. Now it’s time to eat some ribs…. only one napkin needed too! 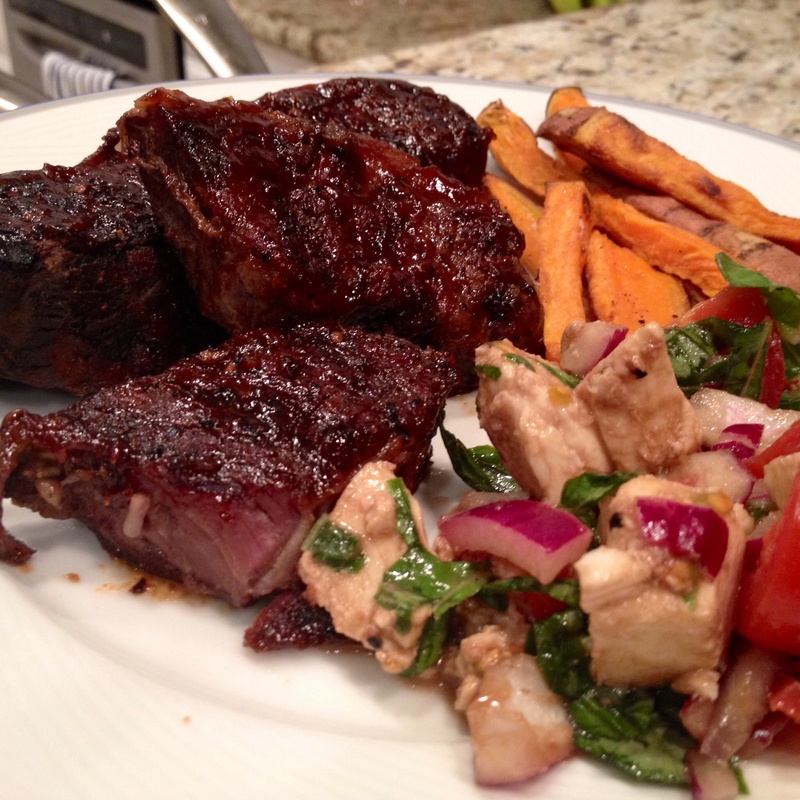 Picture this – a family barbeque with ribs, salad, potatoes and a nice glass of VJB Wine. Sitting outside under the stars in your patio. Dinner has just finished and someone asks – – What’s for dessert? 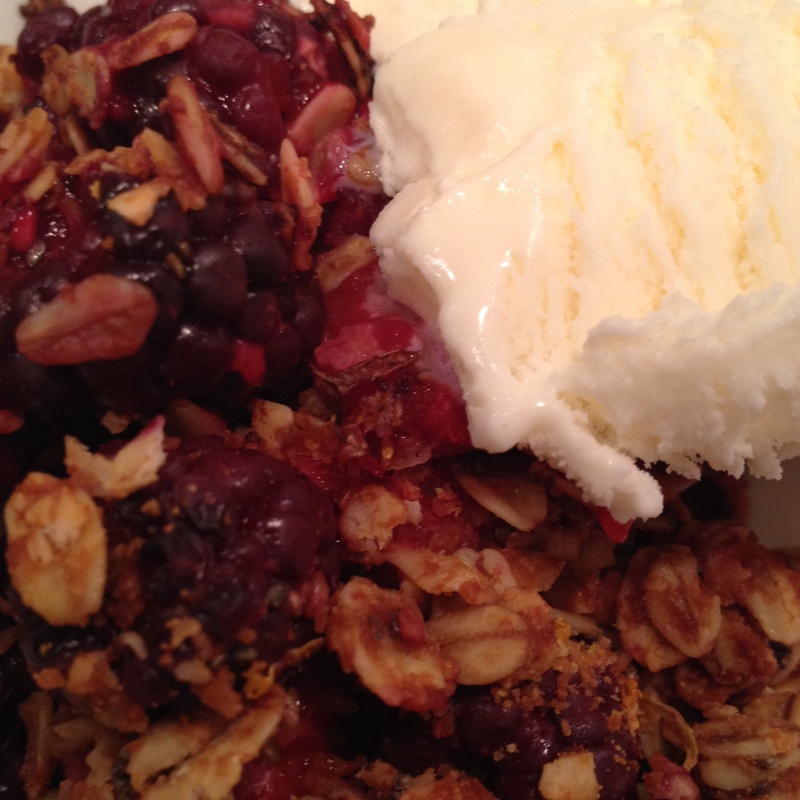 Good thing you prepared this light, refreshing and satisfying dessert – – – Very Berry Cobbler with Peanut Butter Granola. It is easy and pairs well with a hearty dinner. 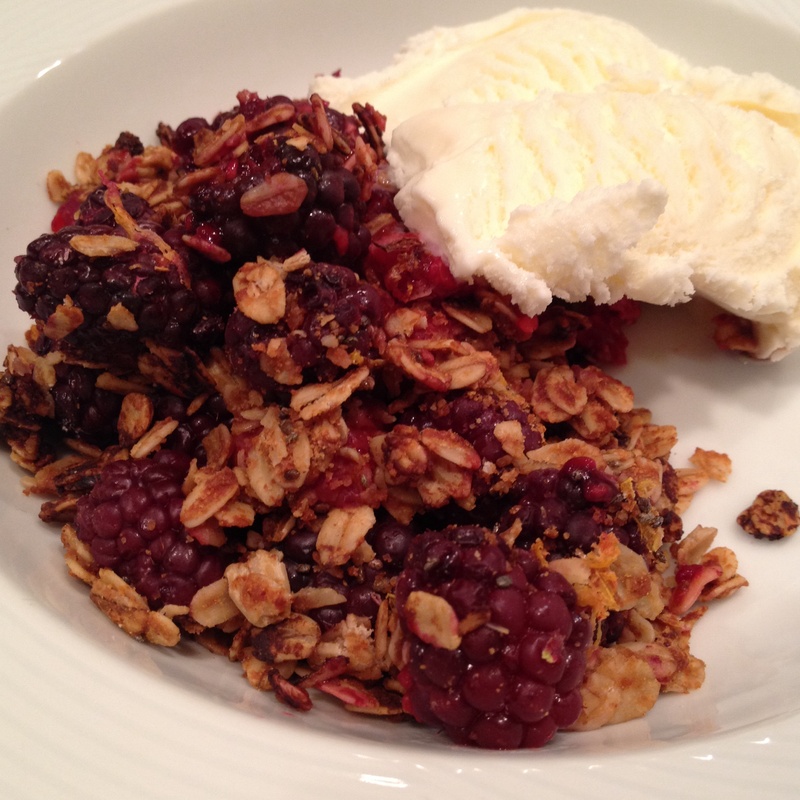 Oh and did I mention – it is in the healthy dessert category! Check it out! *T.W.O. loves using Justin’s original peanut butter- so delish! 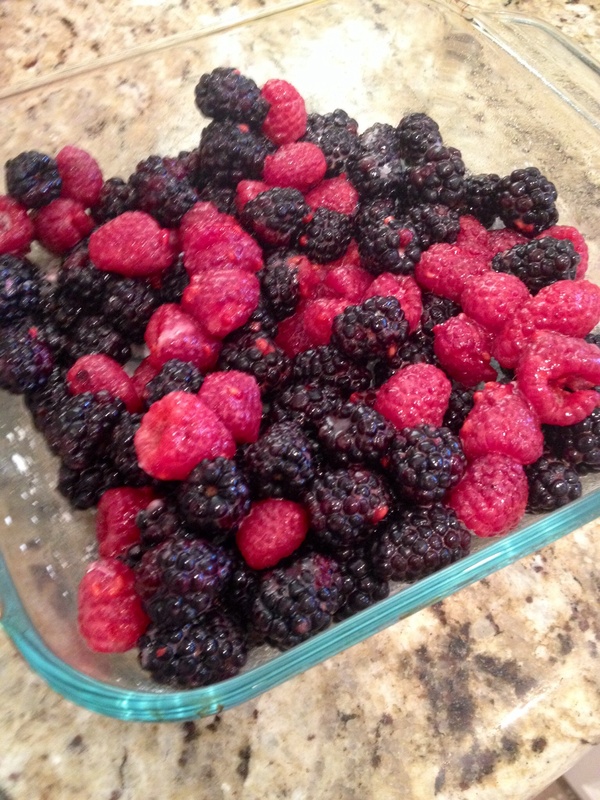 In a bowl, carefully mix the blackberries, raspberries, cornstarch, lemon zest and sugar. Put in a 9×9 Pyrex that has been sprayed with PAM. Top with the Peanut Butter Granola. 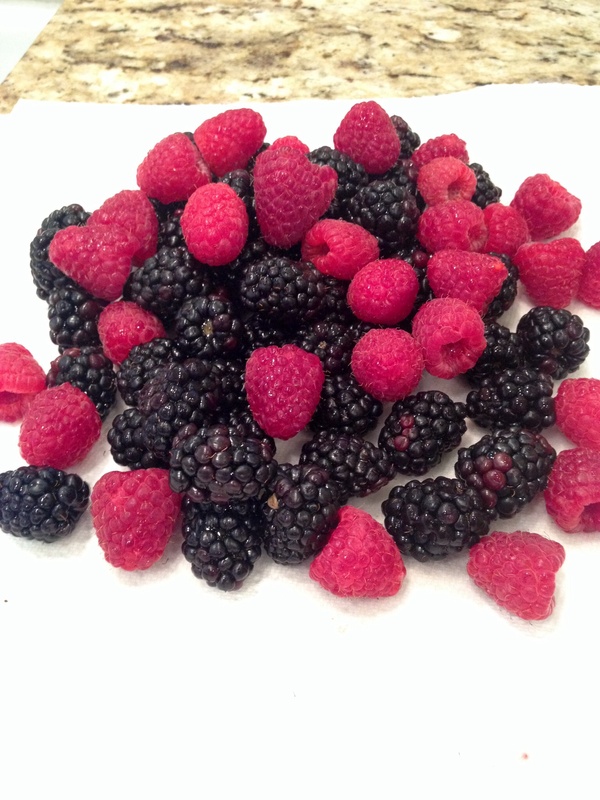 Cook for about 20 minutes or until the berry juice has bubbles. 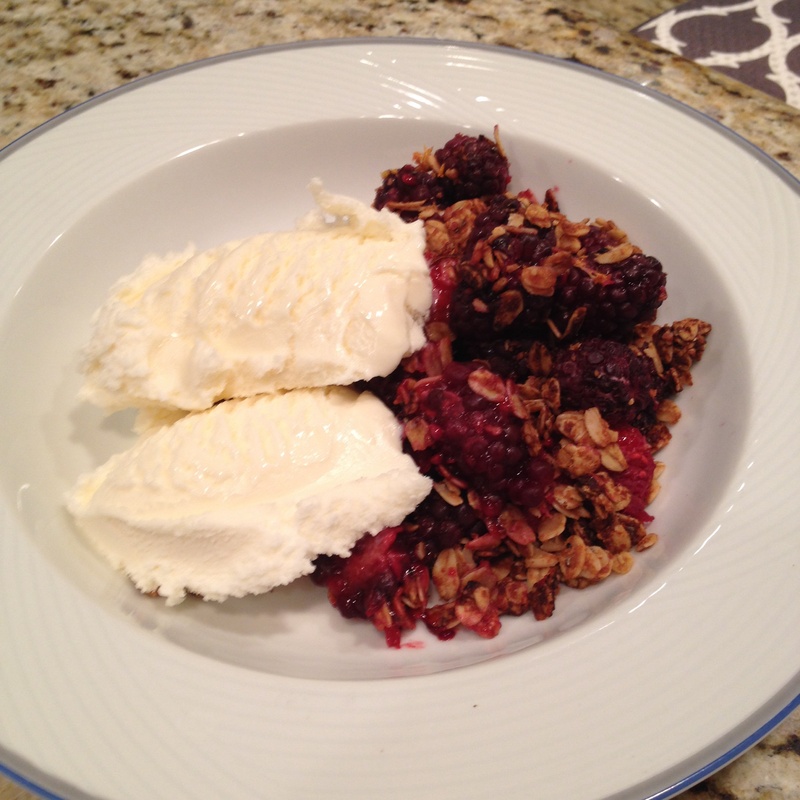 Remove from oven and serve with a scoop of your favorite vanilla ice cream. It felt like summer this past weekend in SoCal. 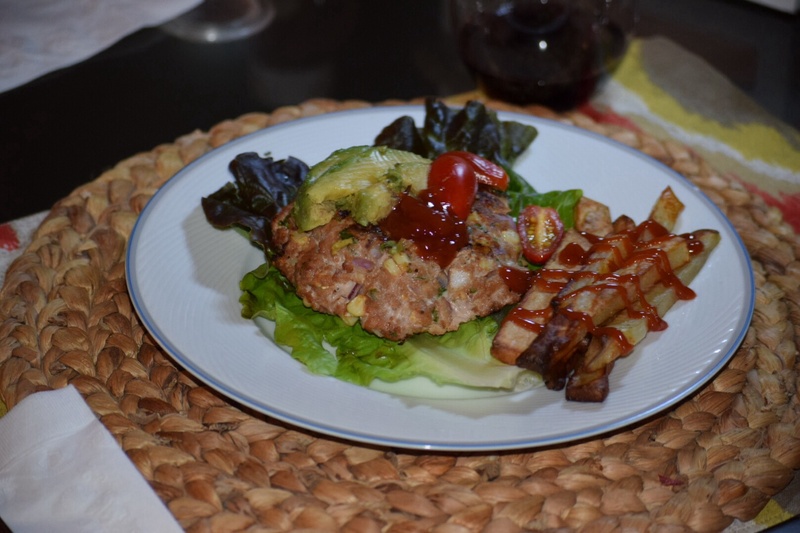 It was in the mid-80s and with the daylight savings time upon us and a brand new barbeque in the patio, we decided to christen it with lamb burgers. Grab your feta, tomatoes and mushrooms and let’s start cooking! 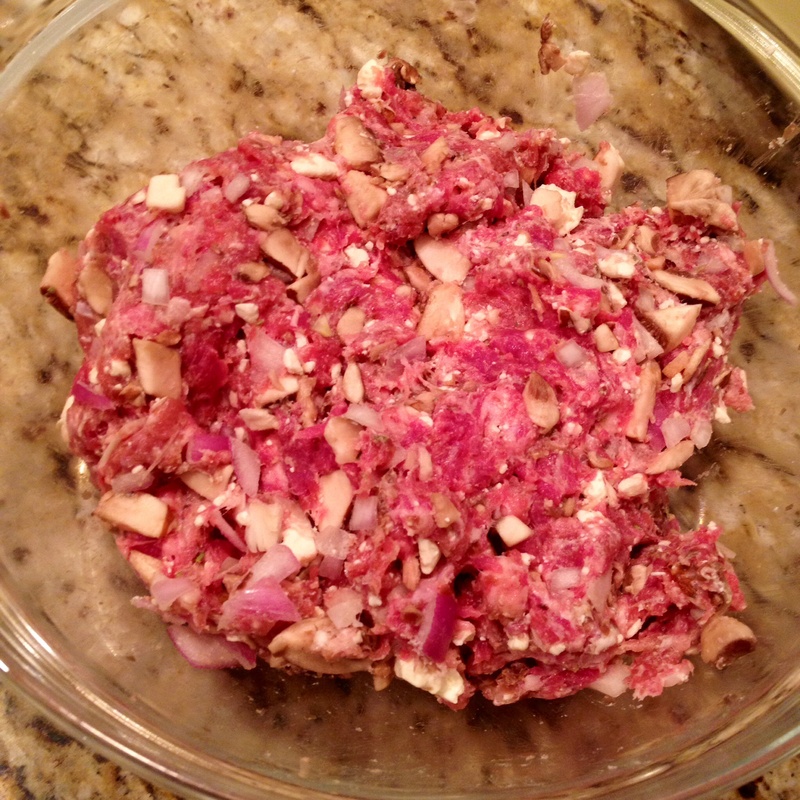 In a bowl, mix the ground lamb with feta, mushrooms, red onions, garlic powder, Krazy salt and fresh ground pepper. Mix well. Form the mixture into 3-4 patties. 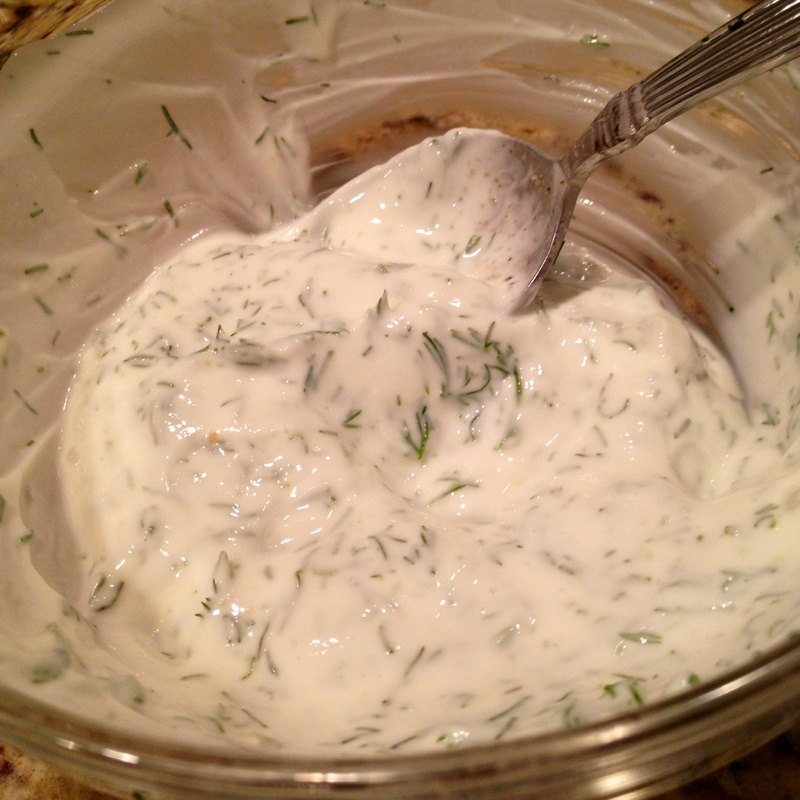 Using a bowl Mix the Greek yogurt with the dill in a small bowl to make your tzatziki sauce. Place in the refrigerator while the burgers are cooking. 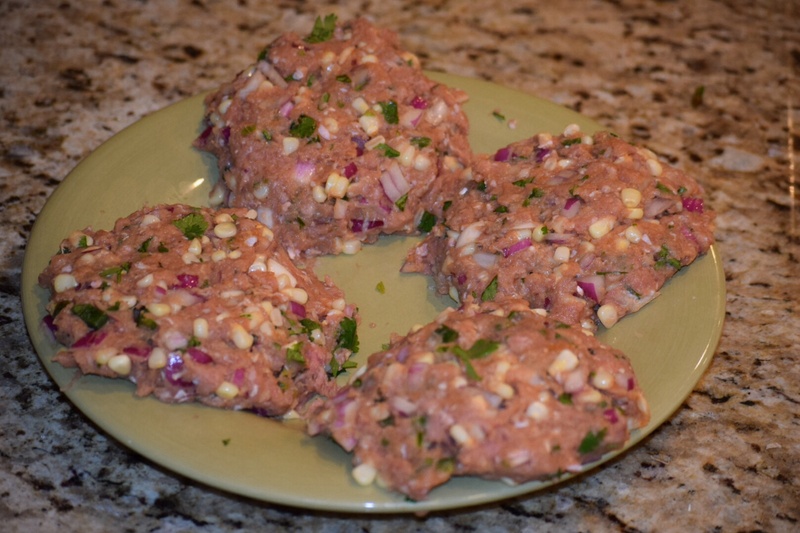 Place the lamb patties on a heated barbeque grill and cook for 15 minutes or until done. Remove from heat. If you like your buns toasted, now is a good time to do it. 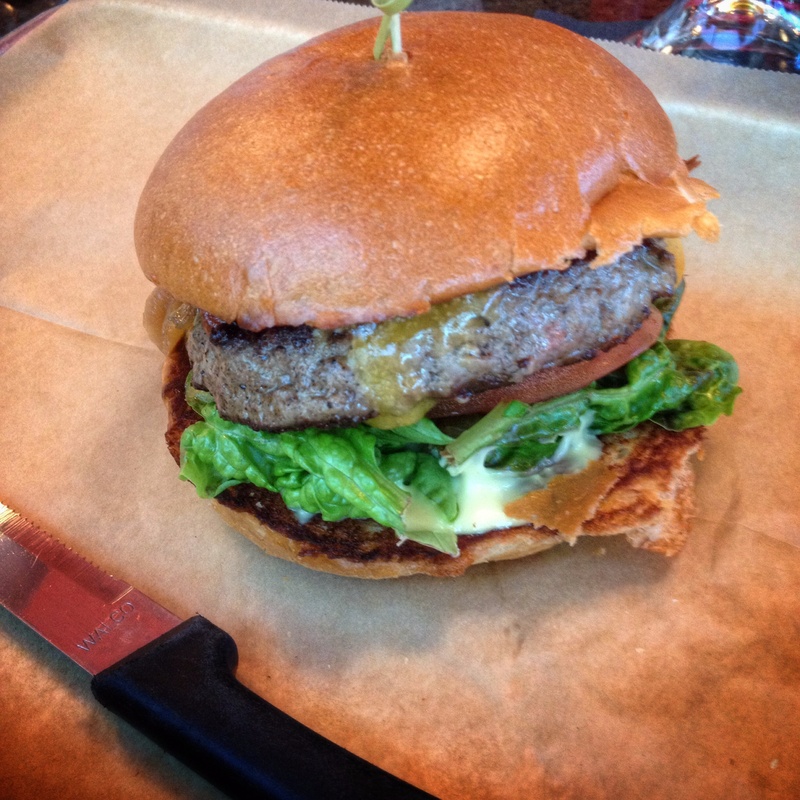 Dress your hamburger how you like it – T.W.O. 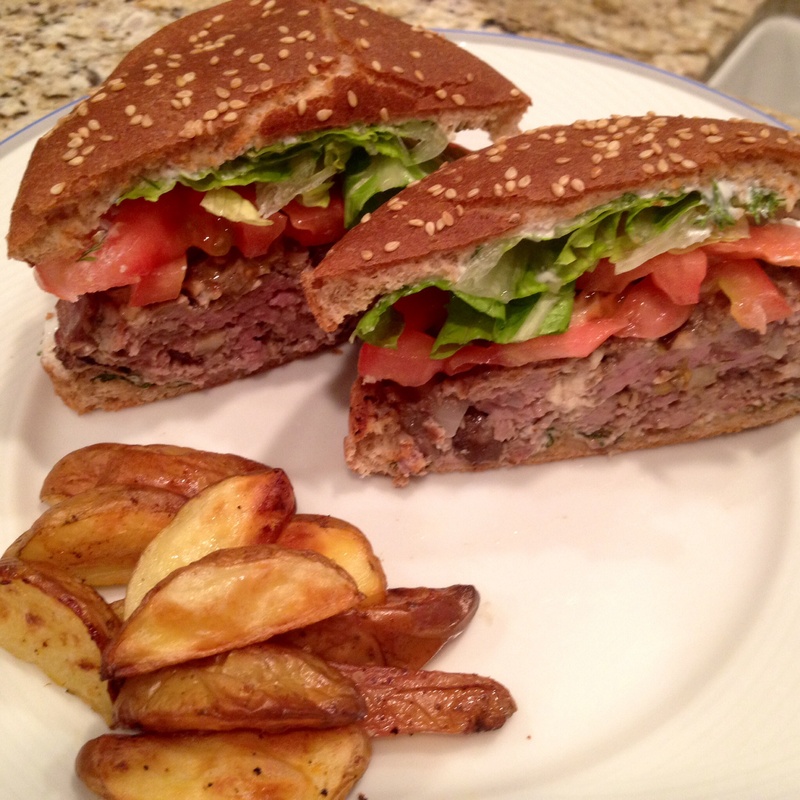 used their homemade tzatziki sauce, lettuce and tomatoes. 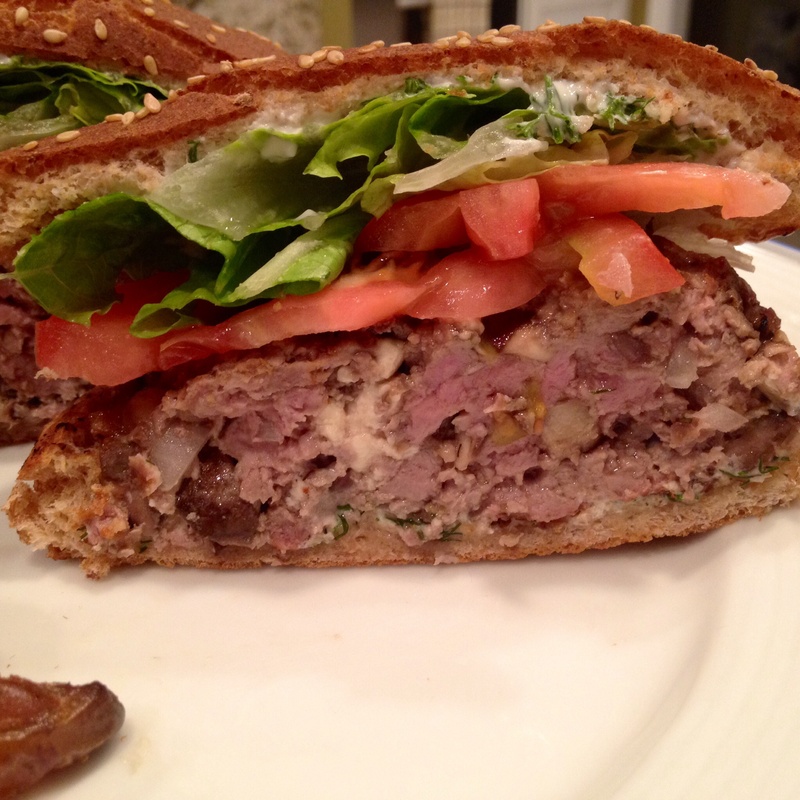 That is all you need for this Greek-influenced Lamb Burger.